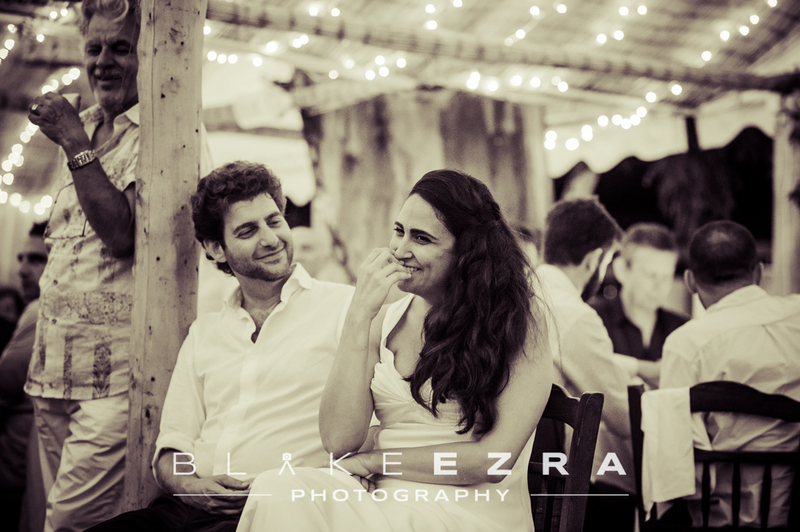 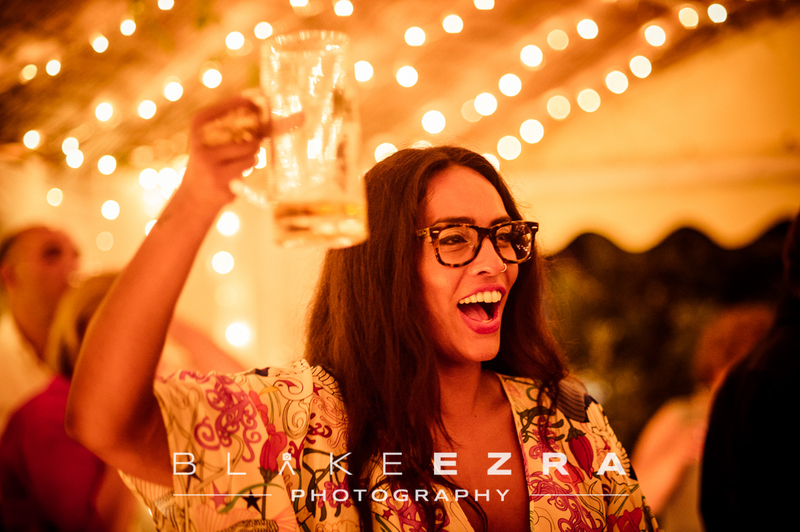 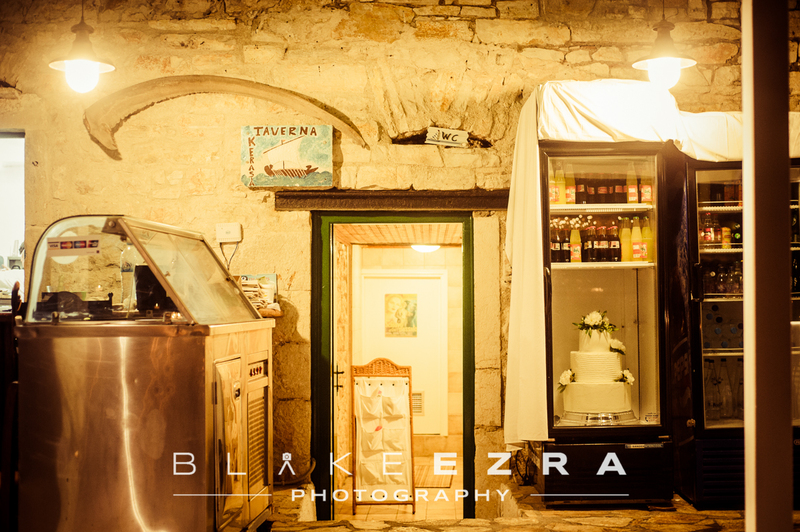 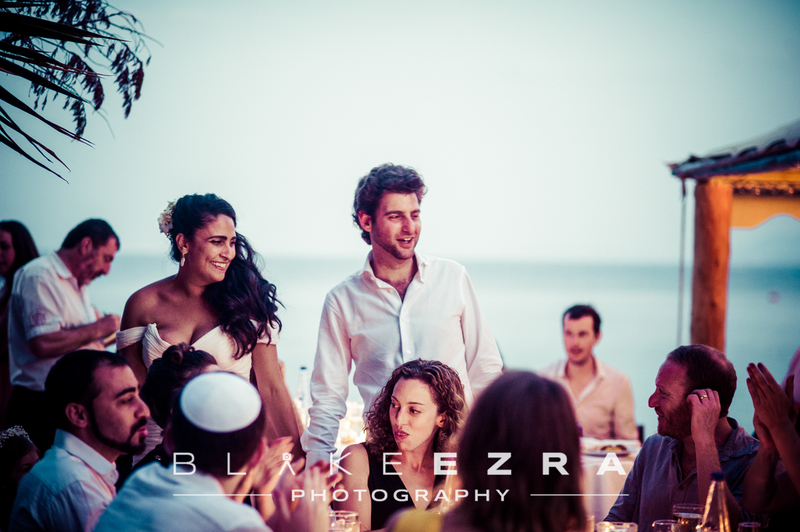 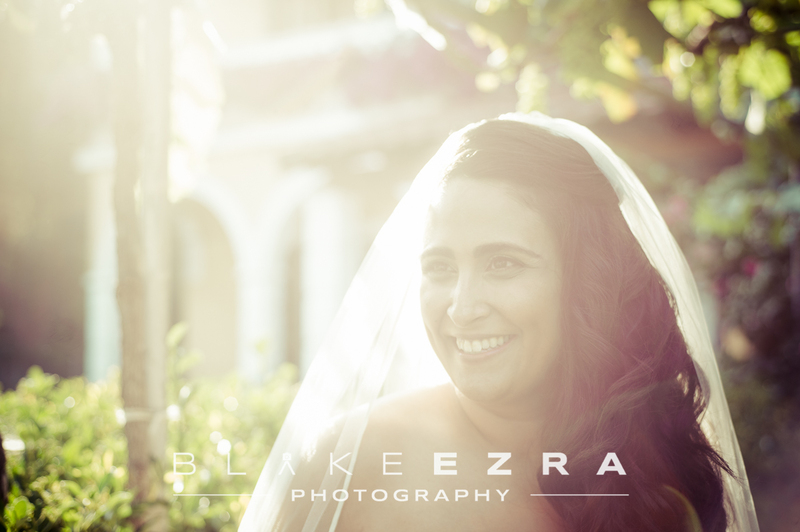 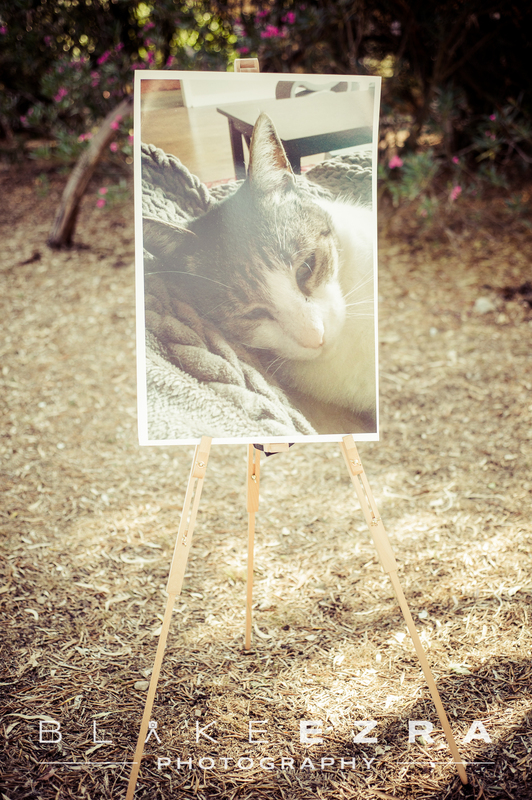 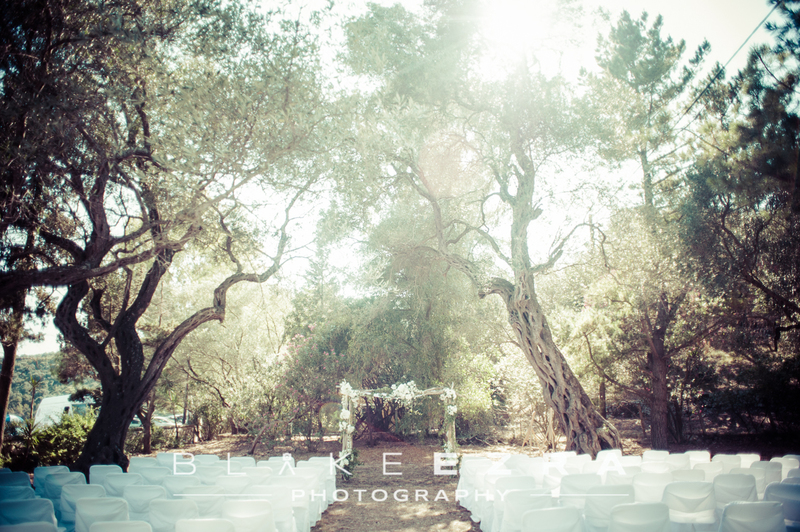 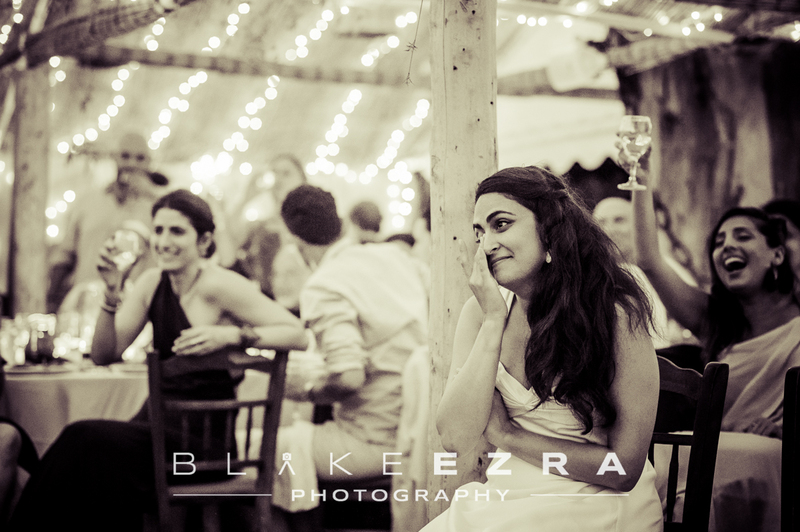 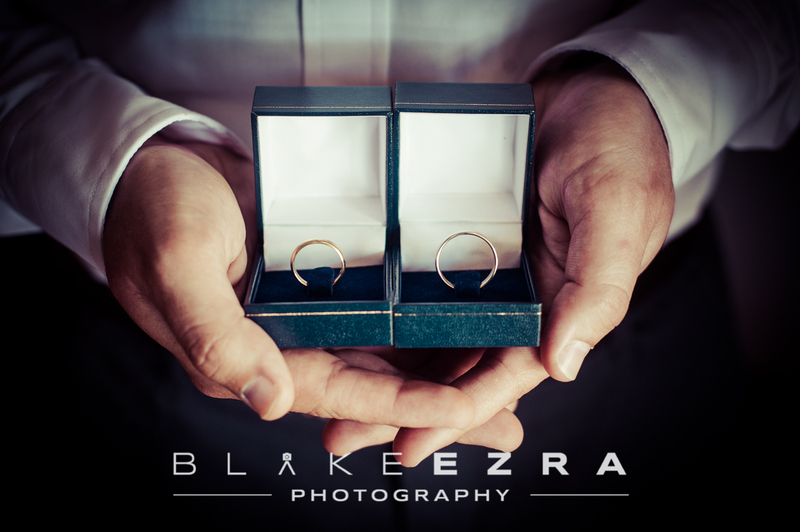 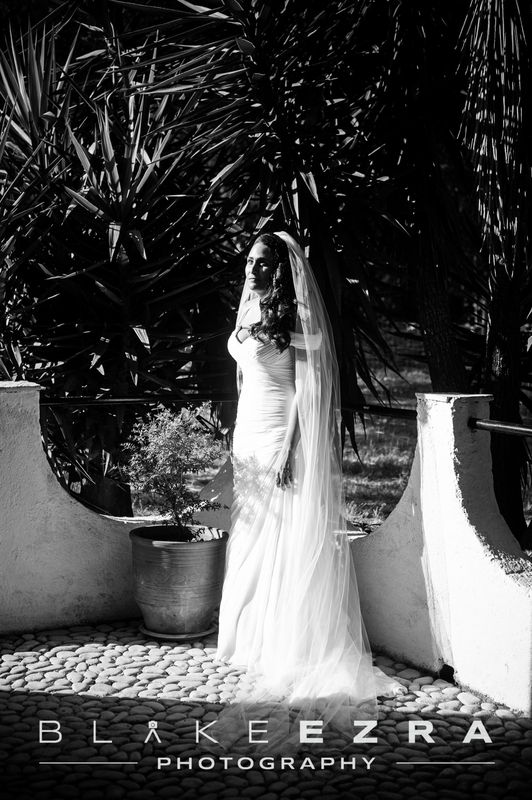 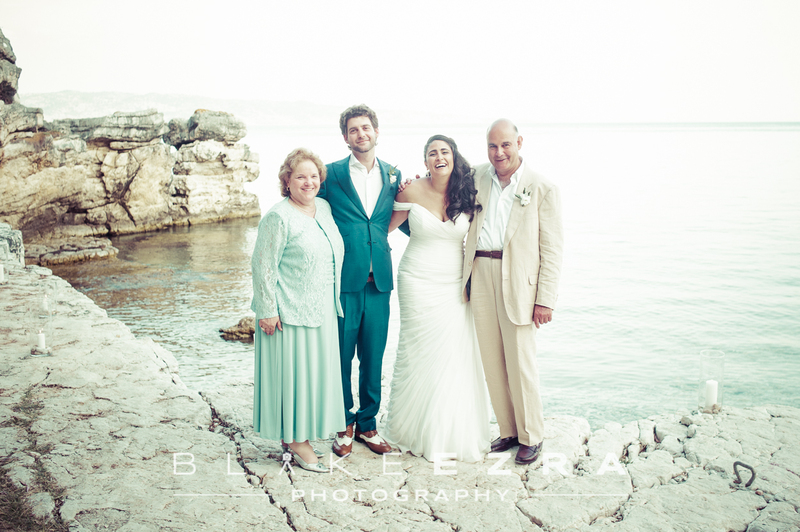 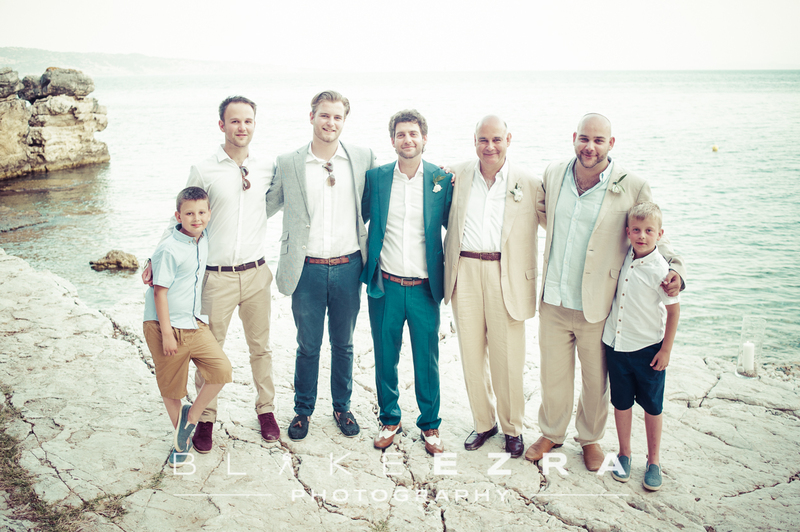 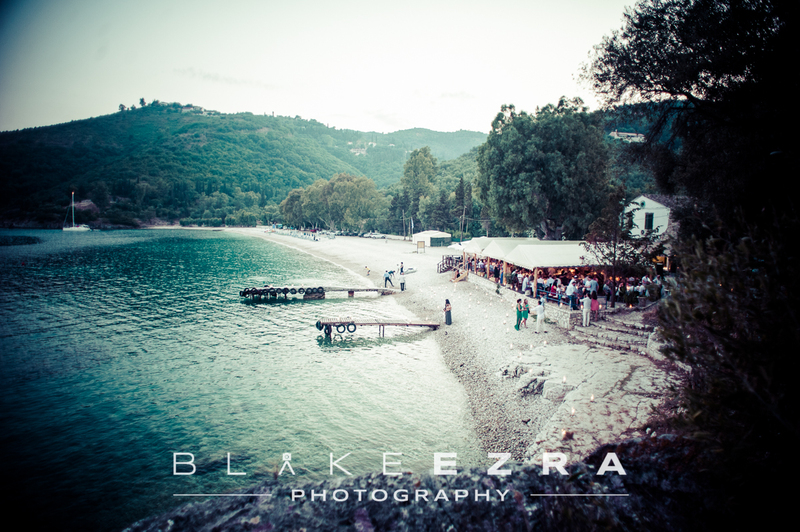 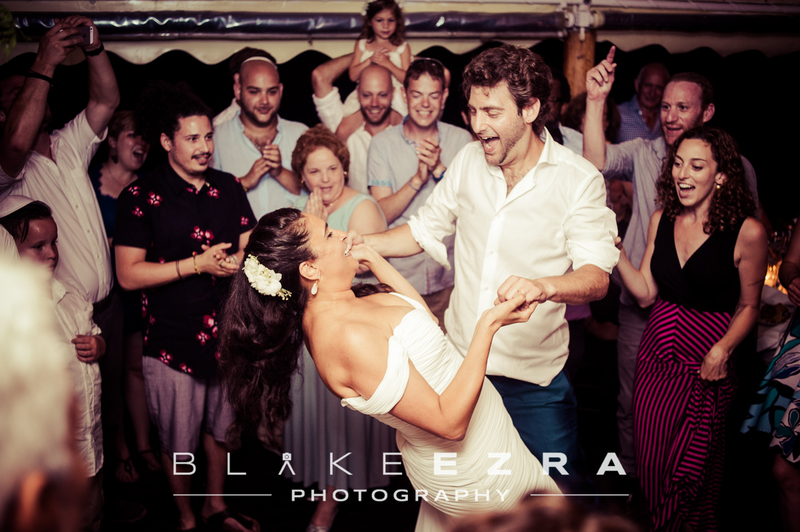 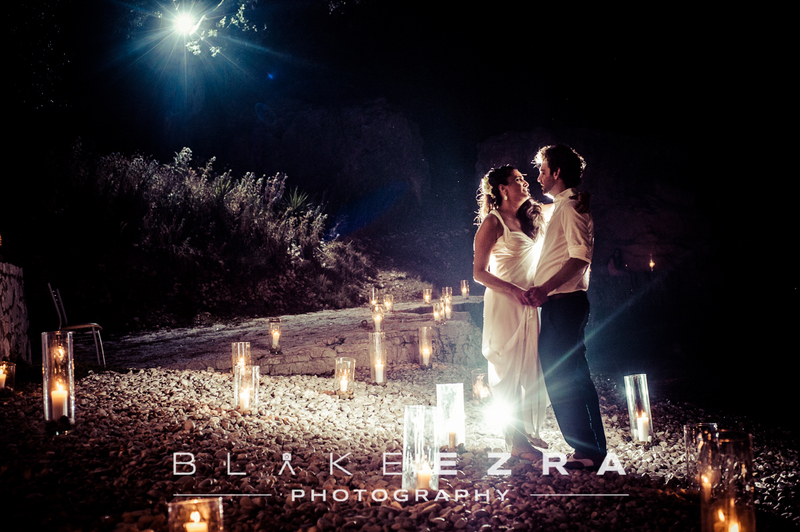 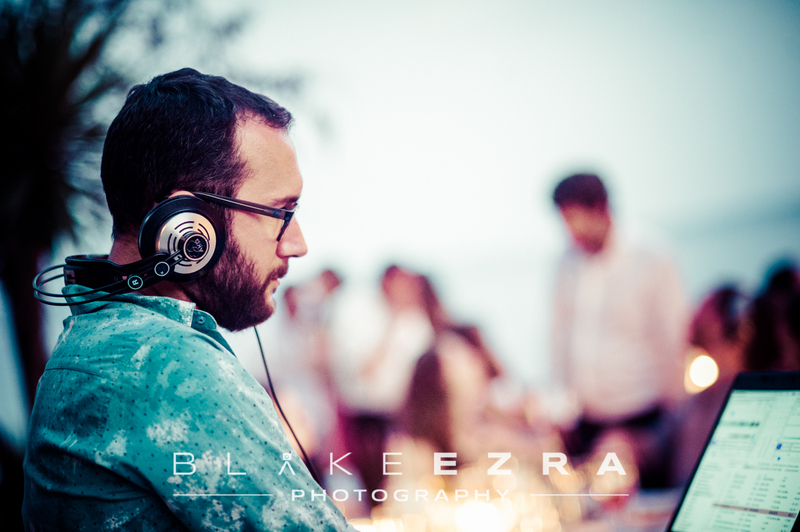 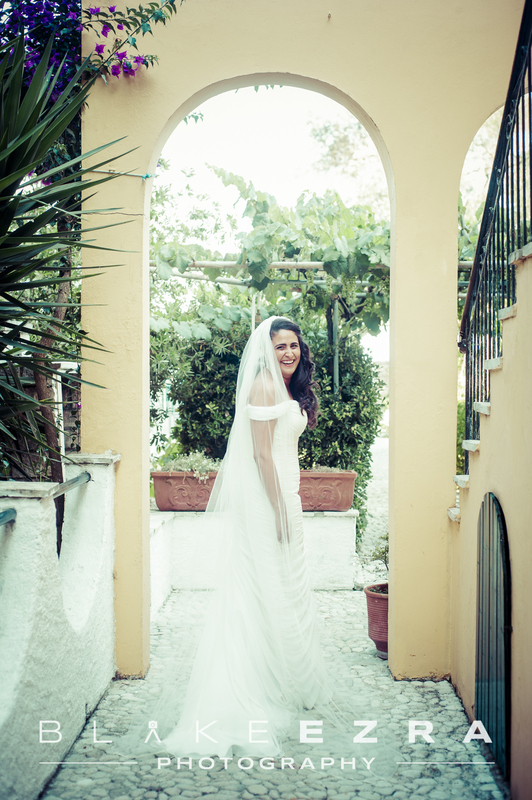 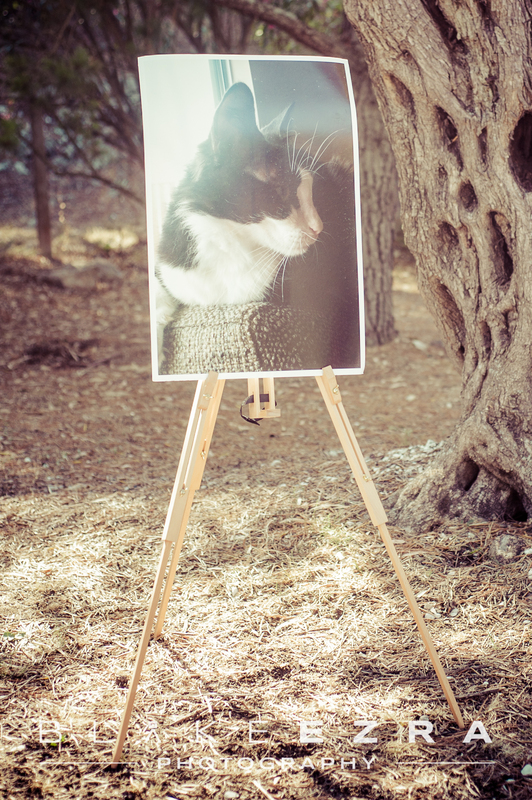 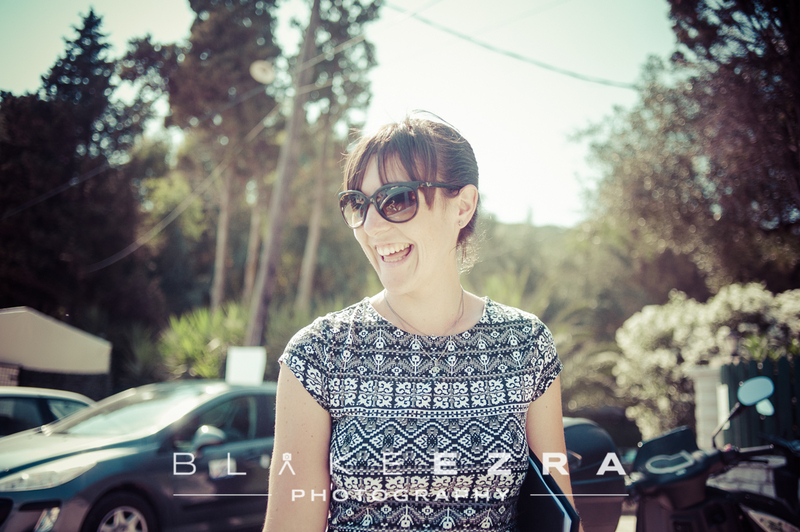 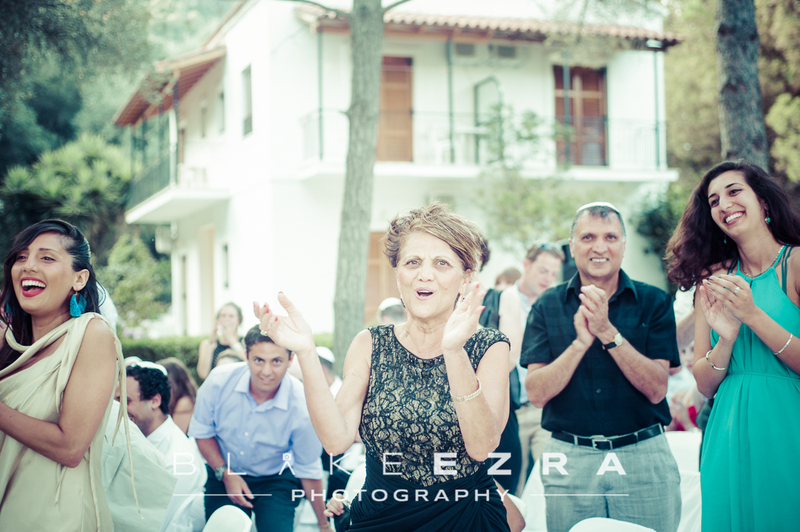 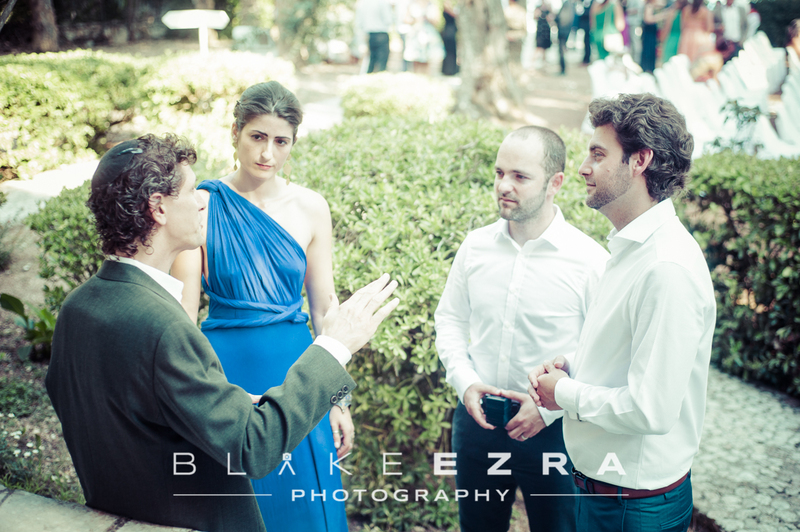 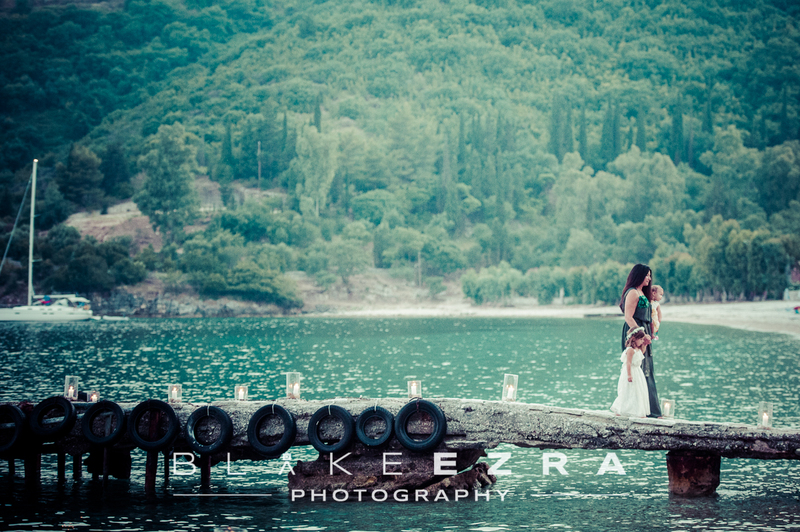 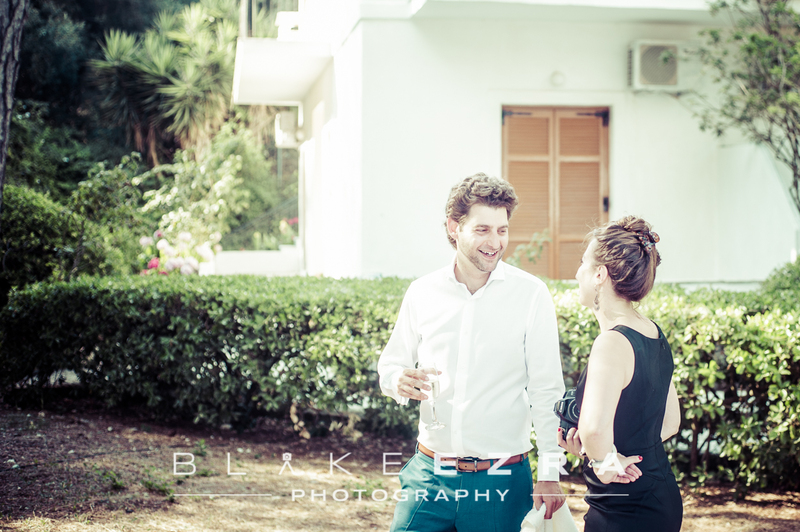 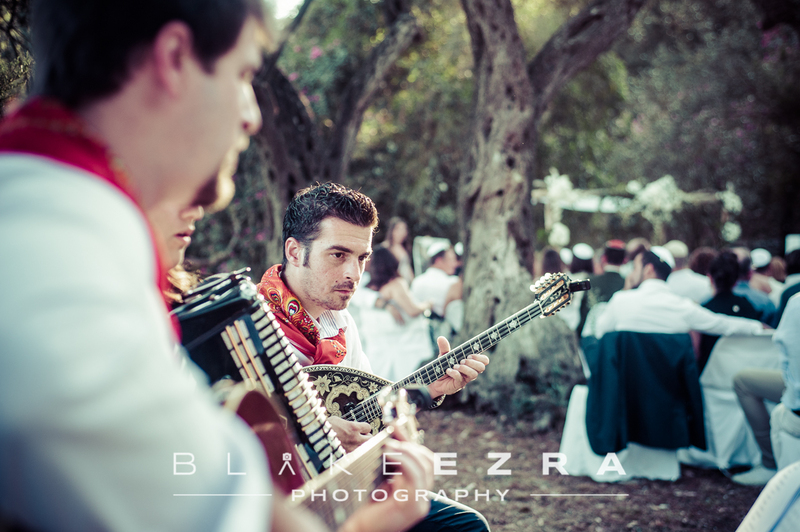 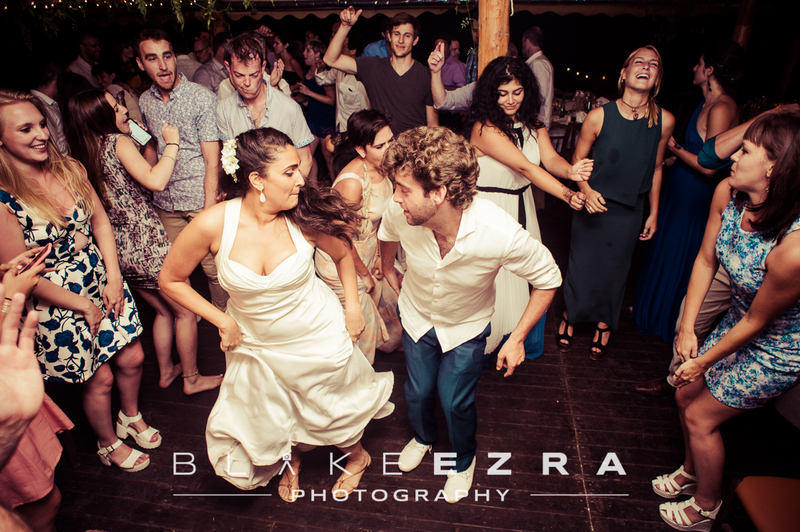 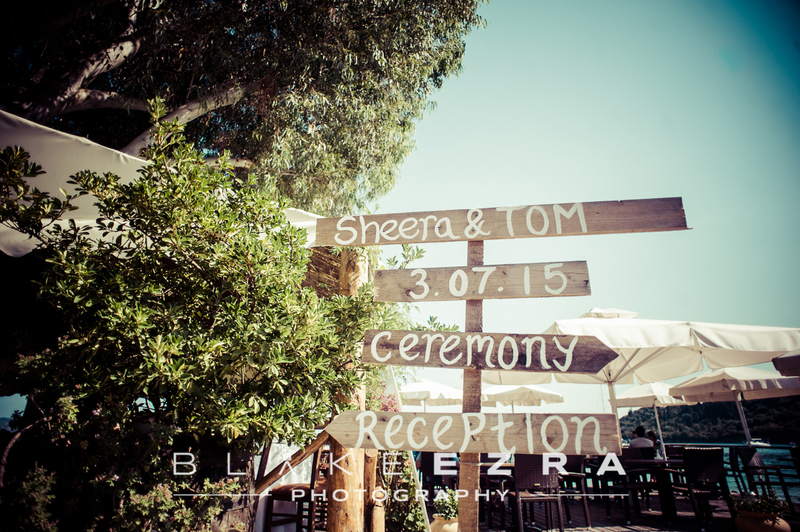 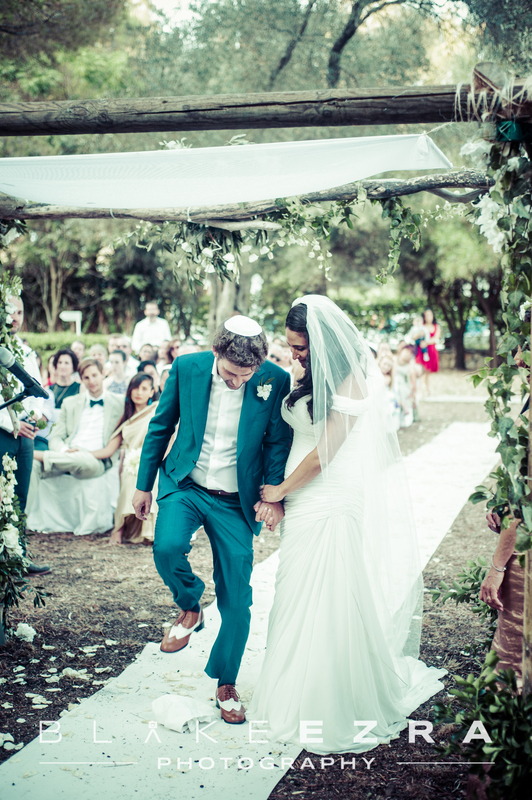 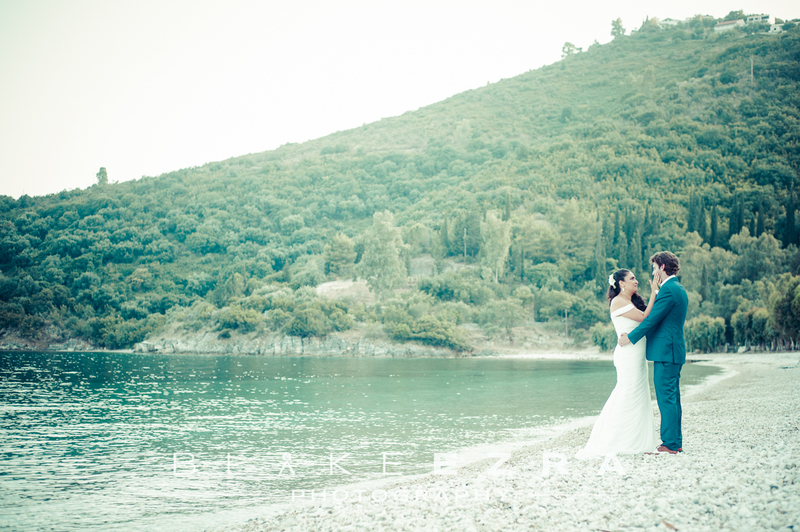 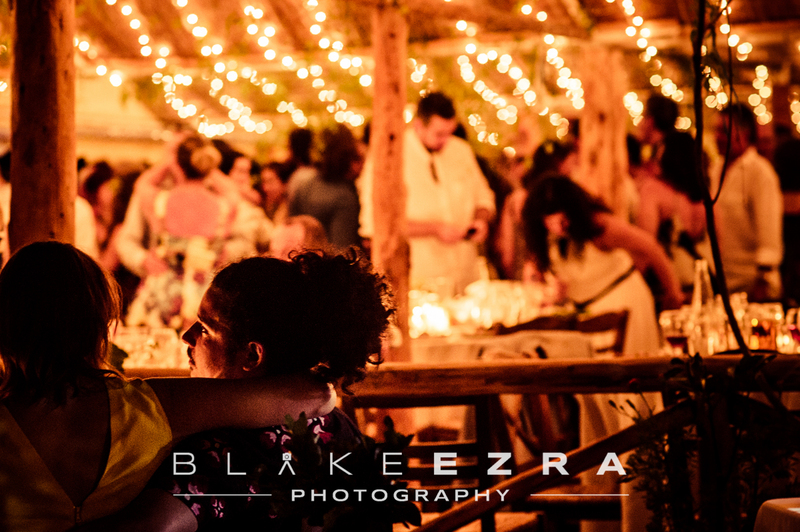 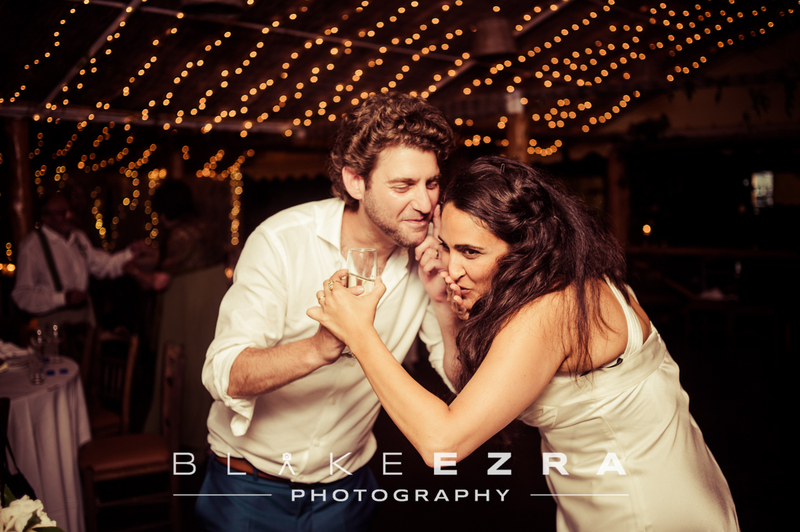 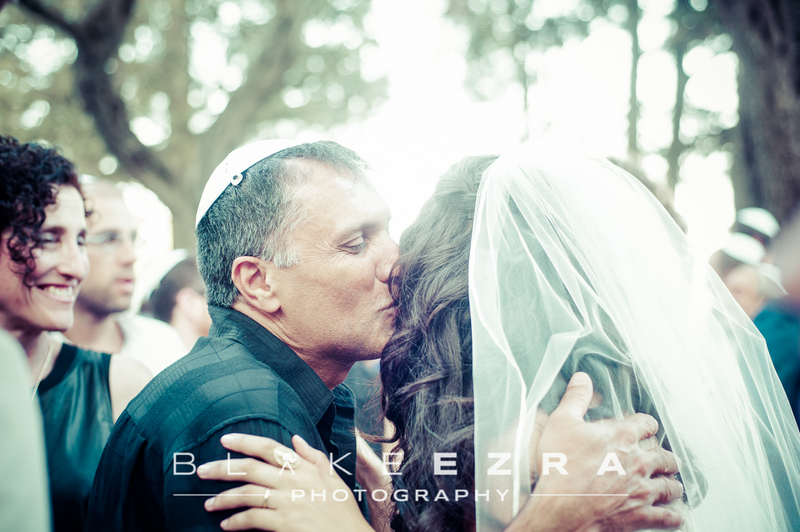 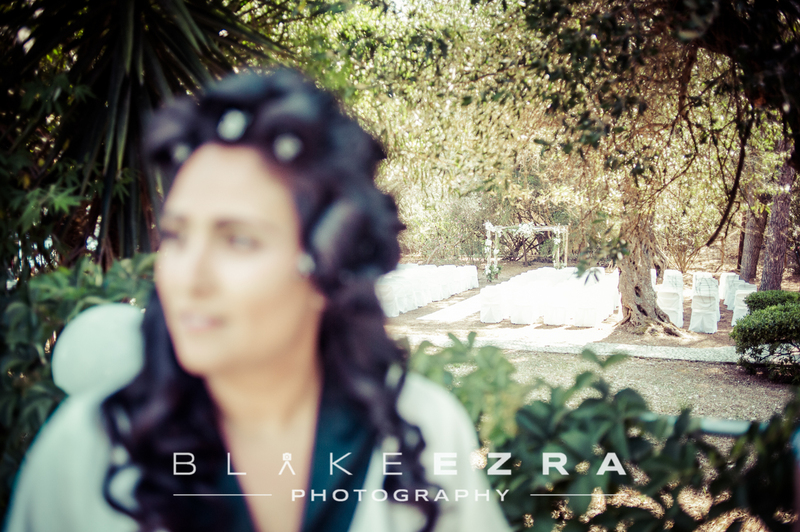 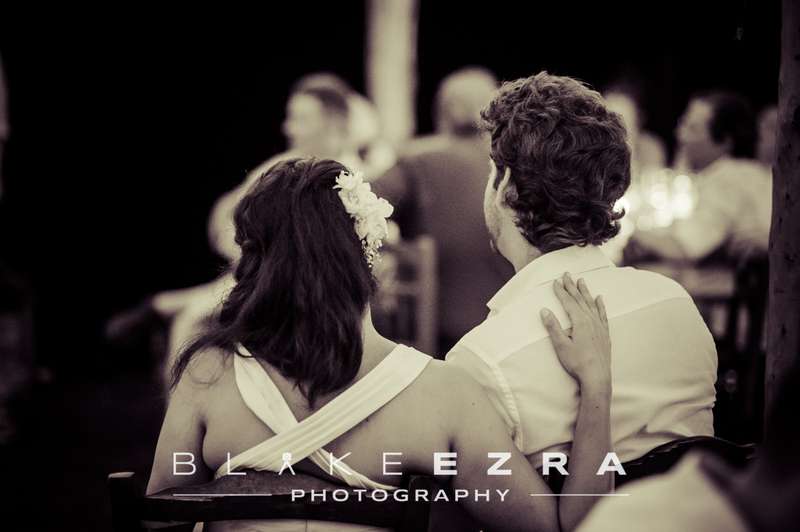 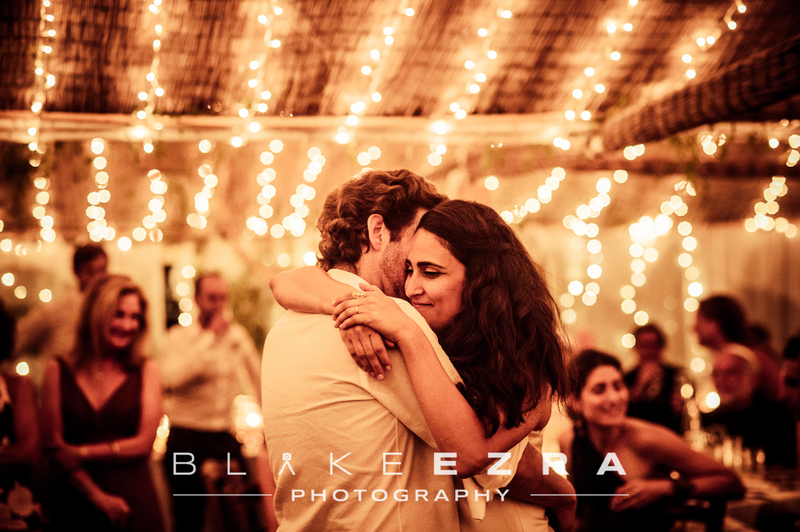 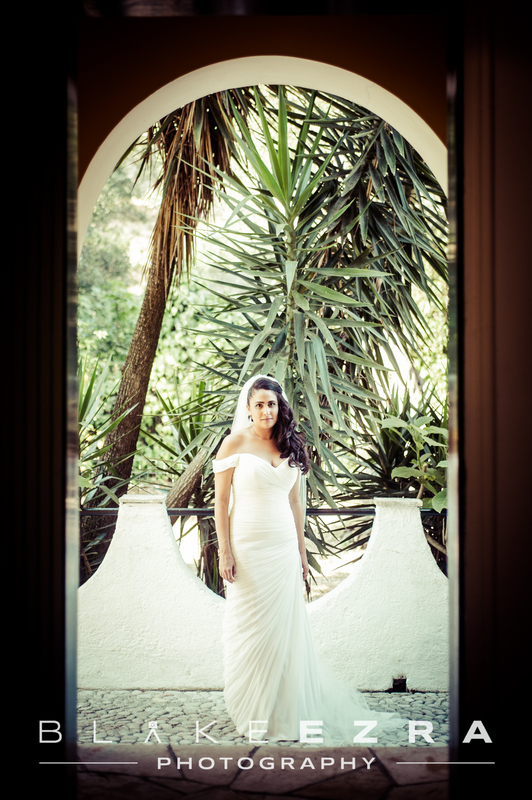 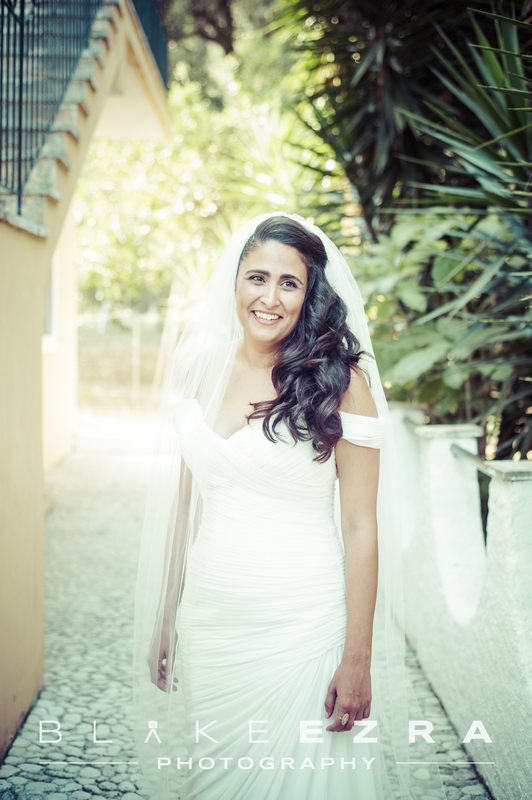 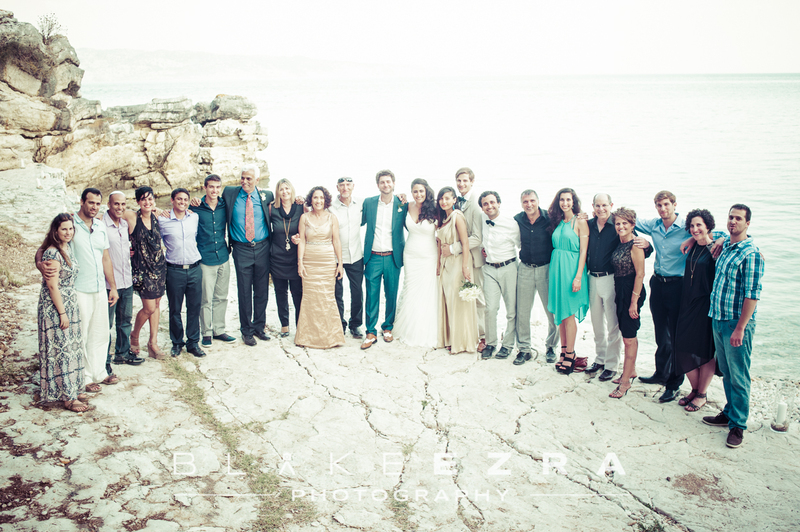 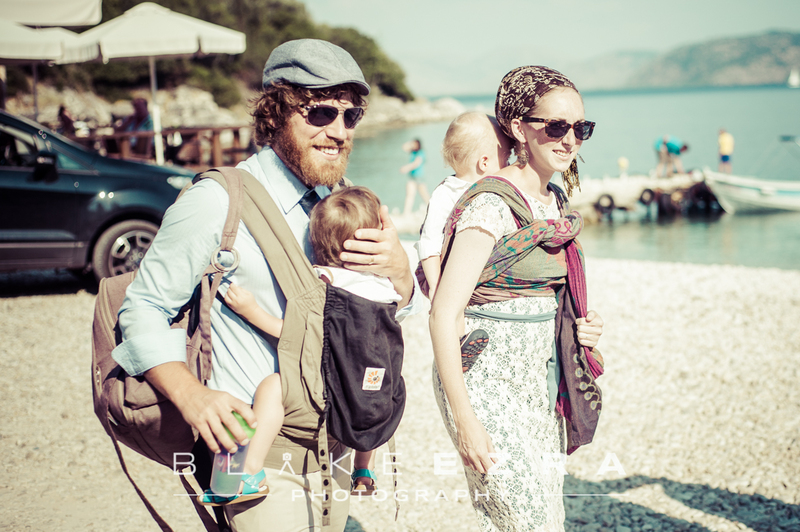 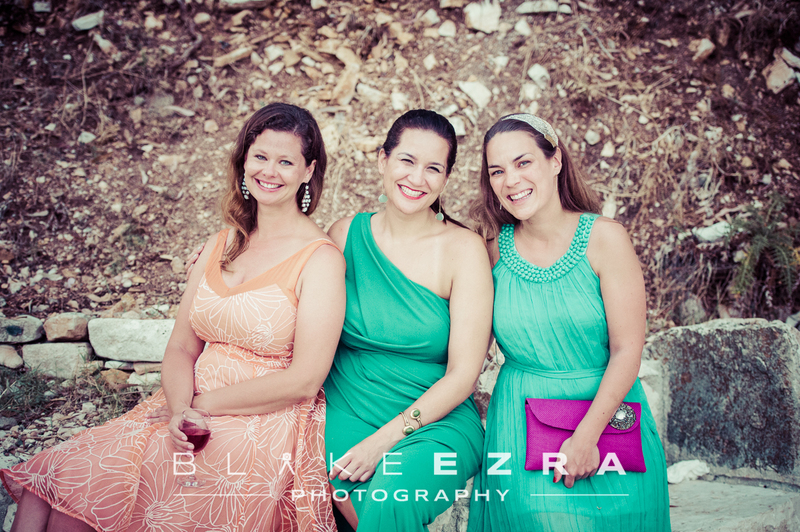 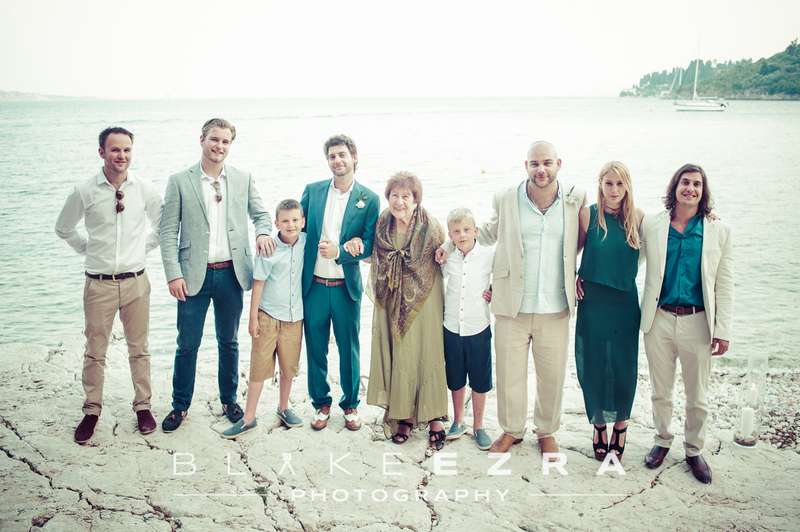 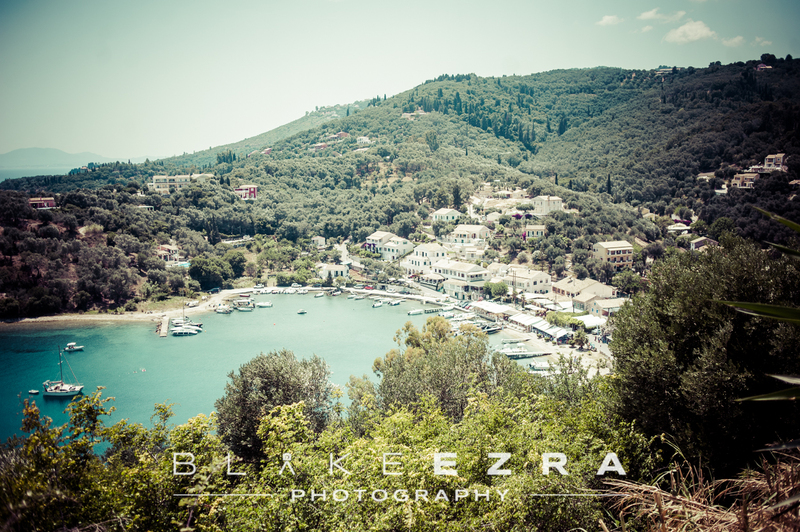 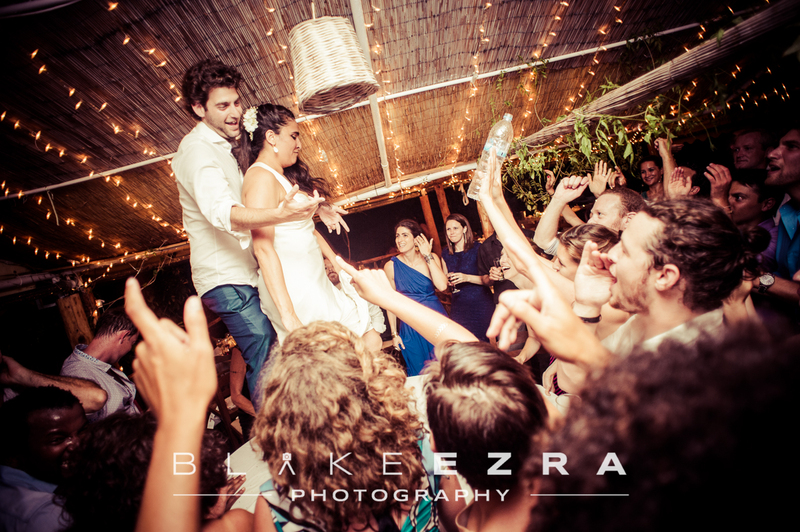 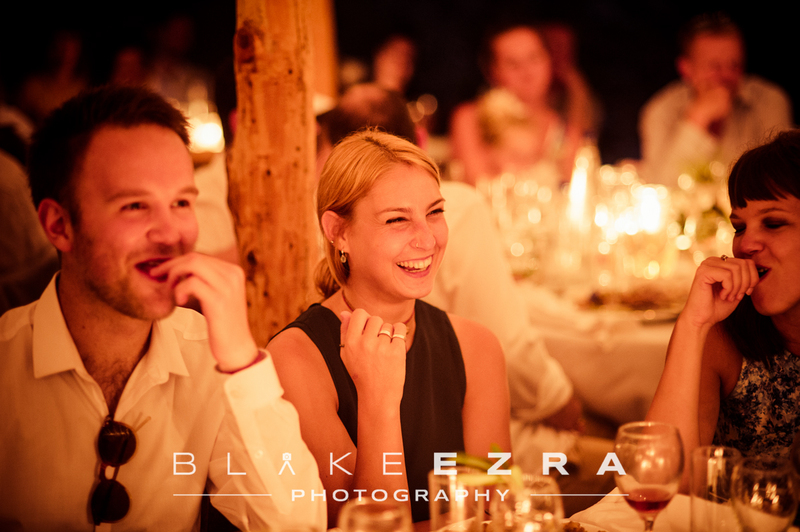 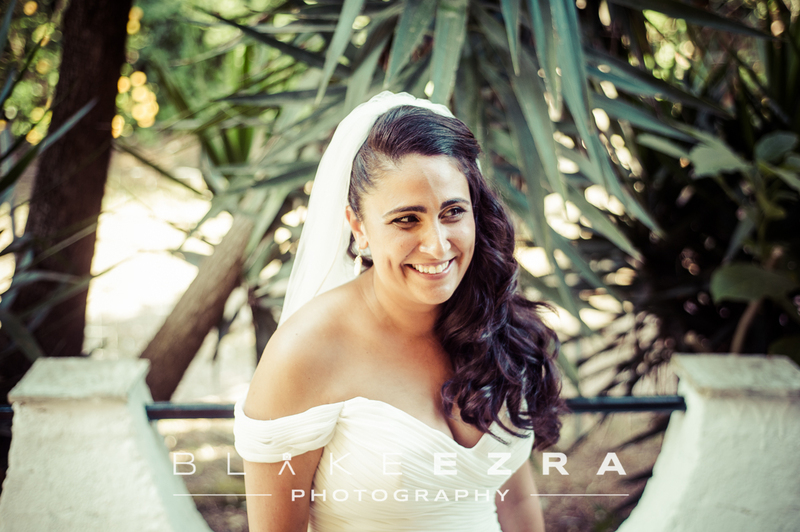 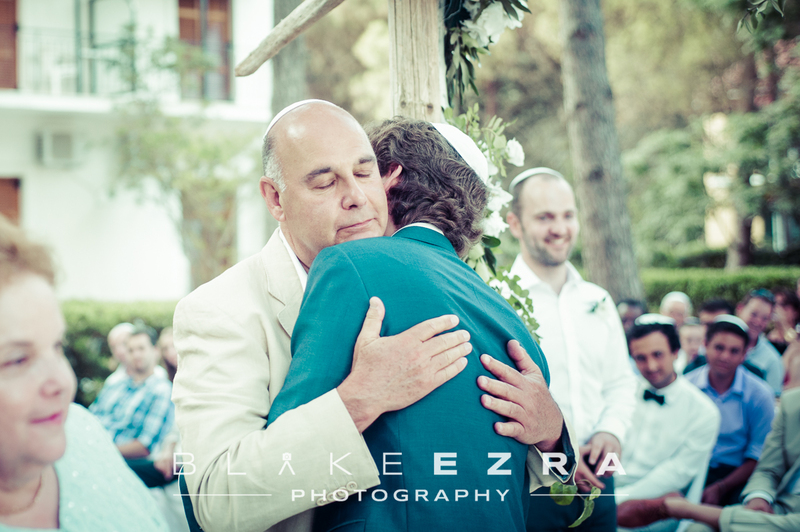 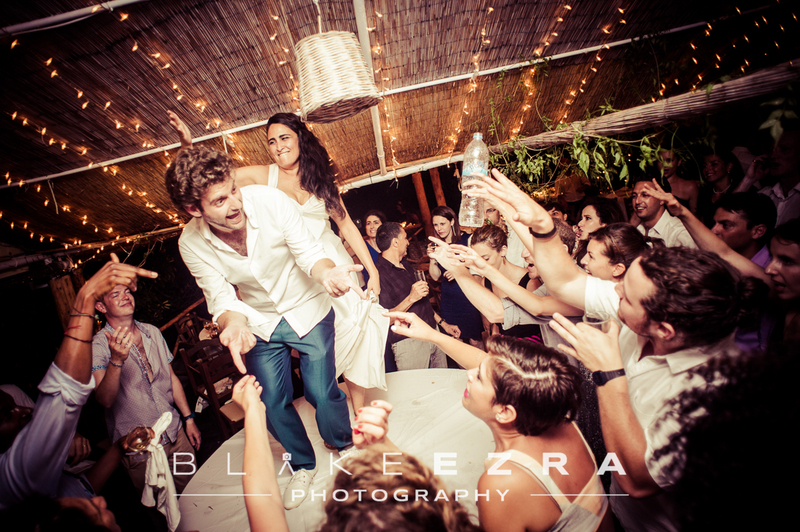 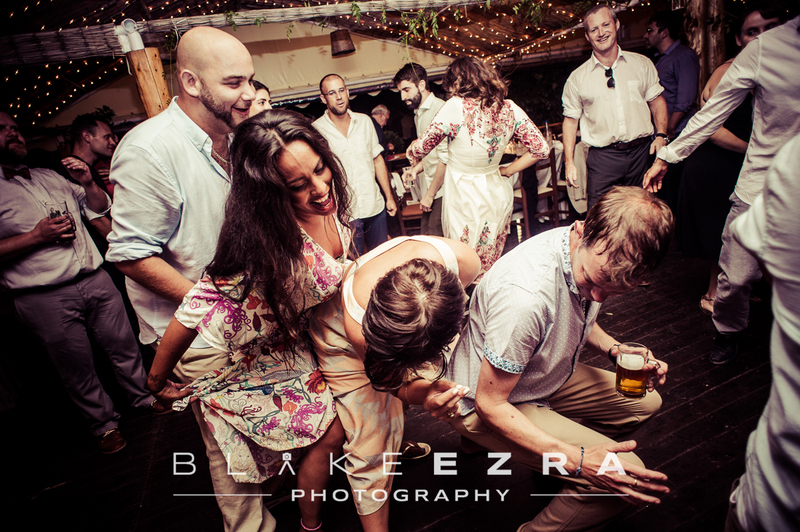 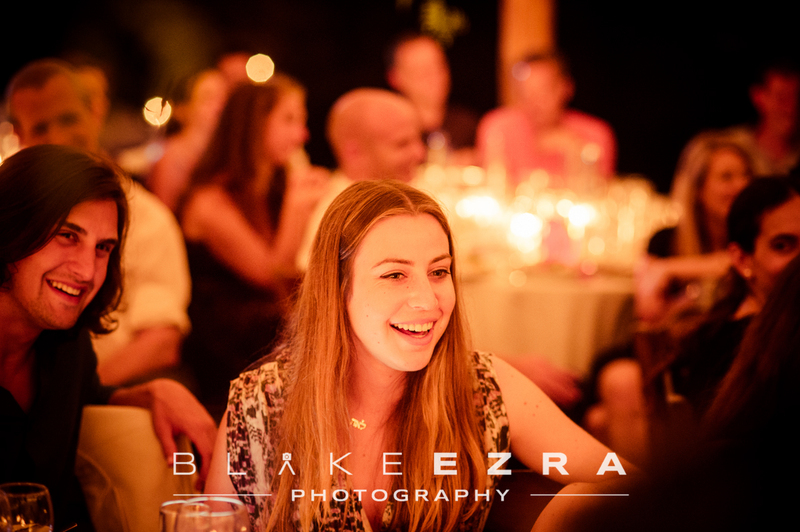 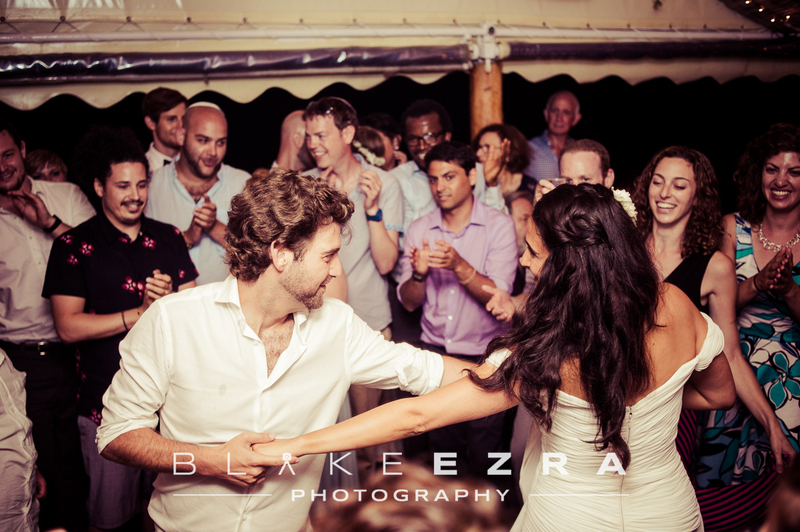 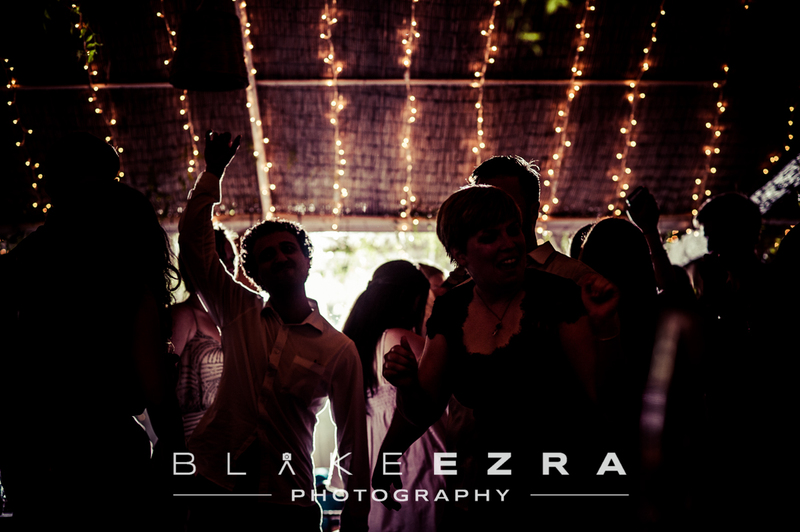 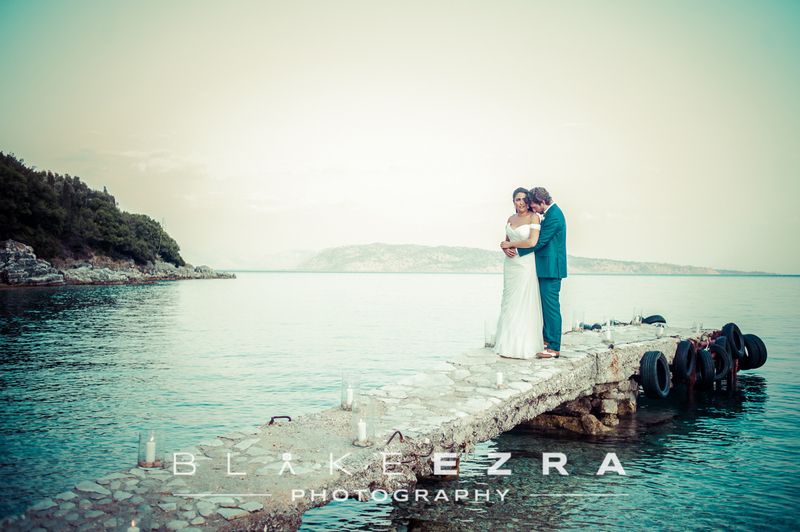 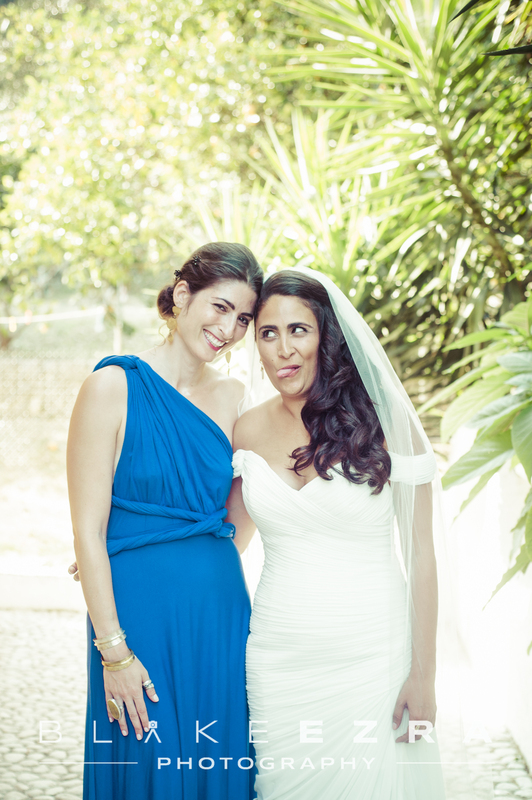 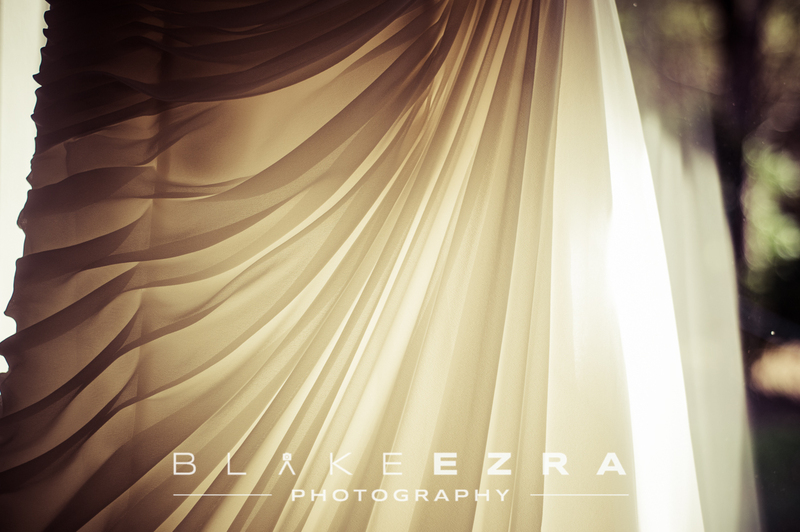 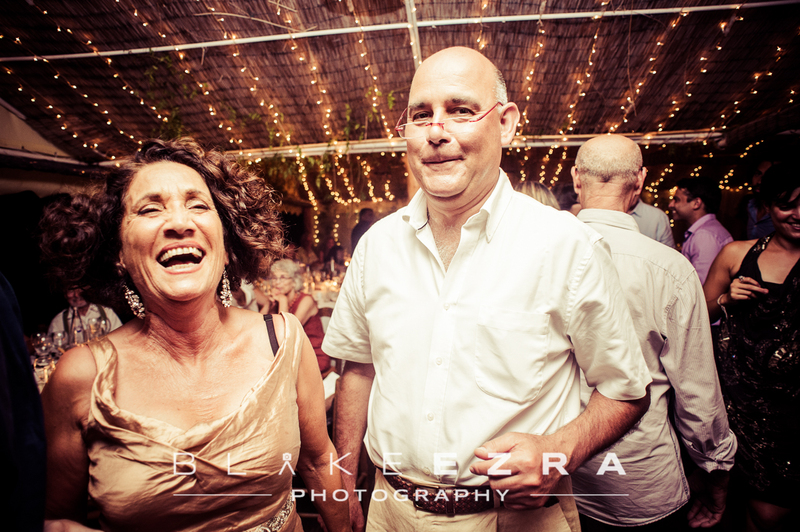 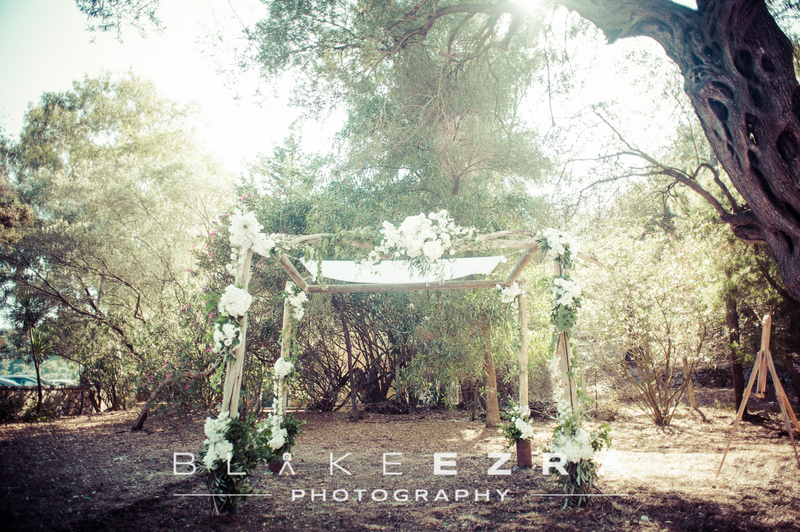 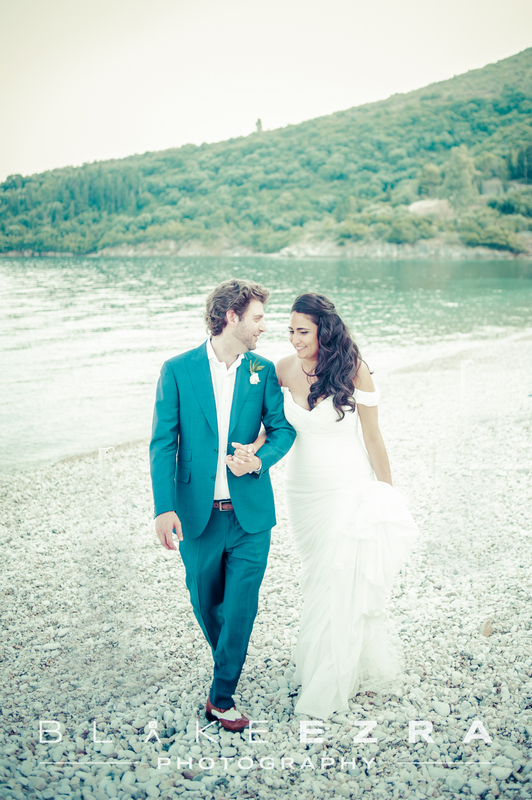 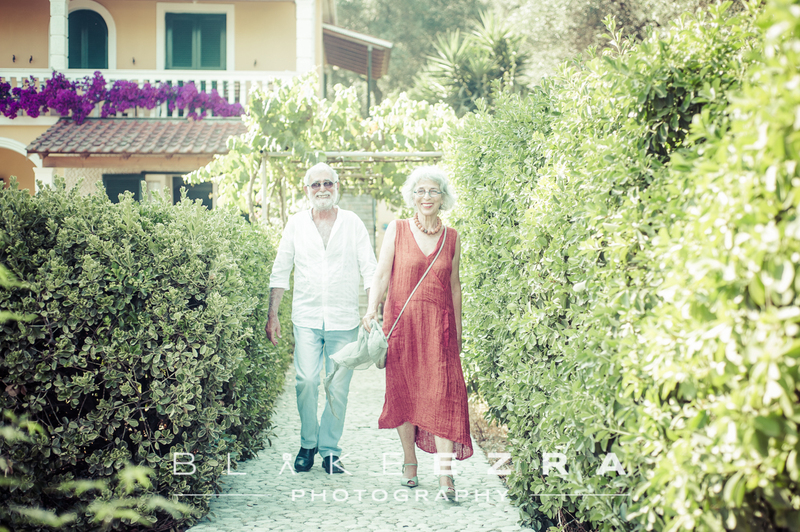 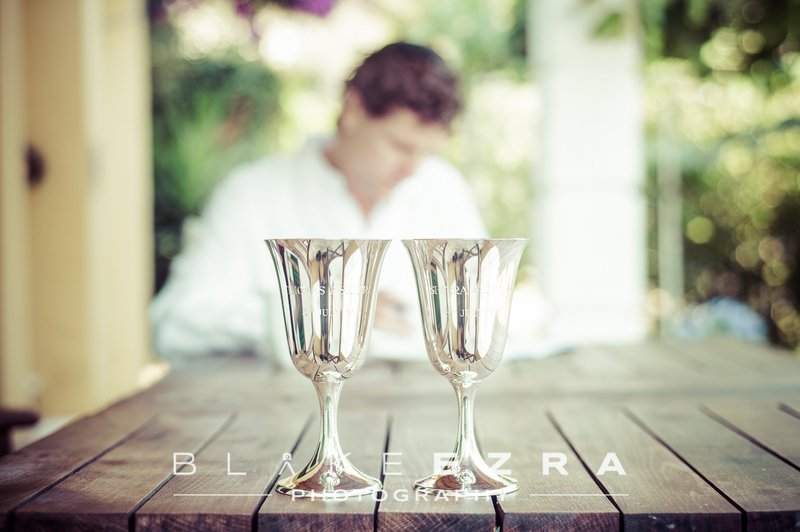 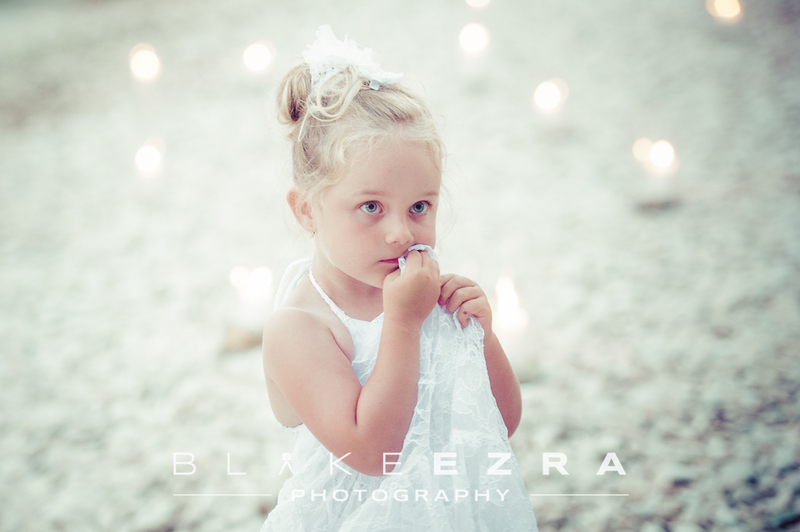 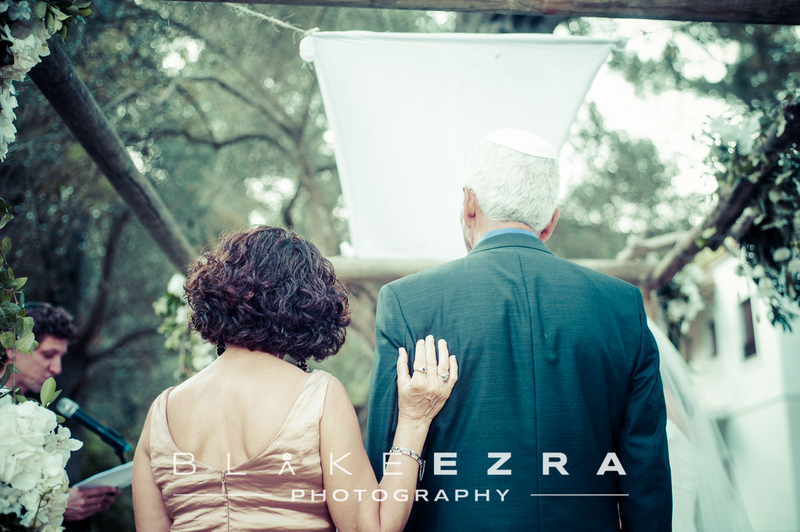 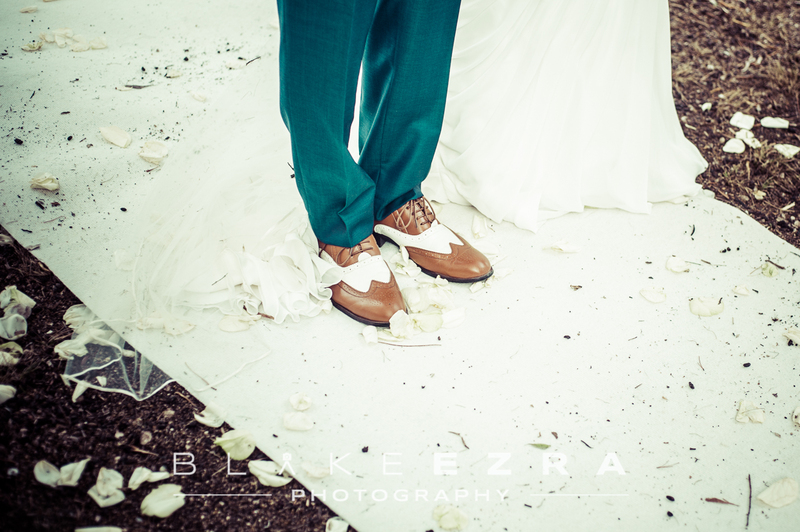 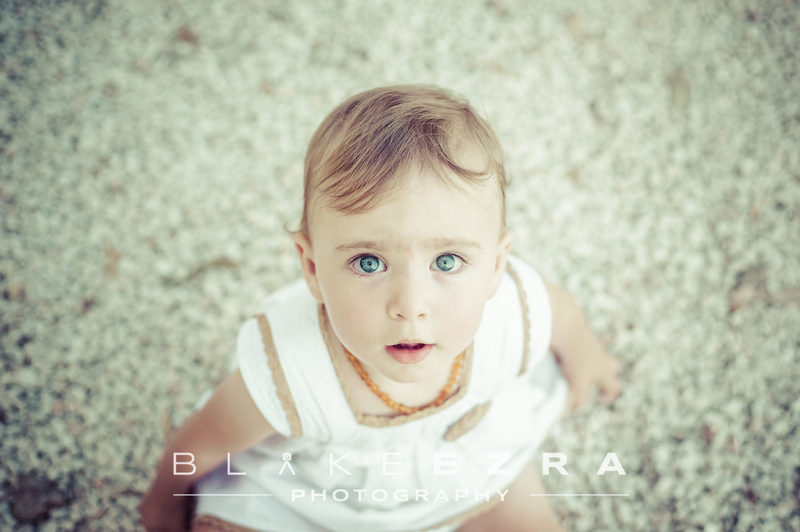 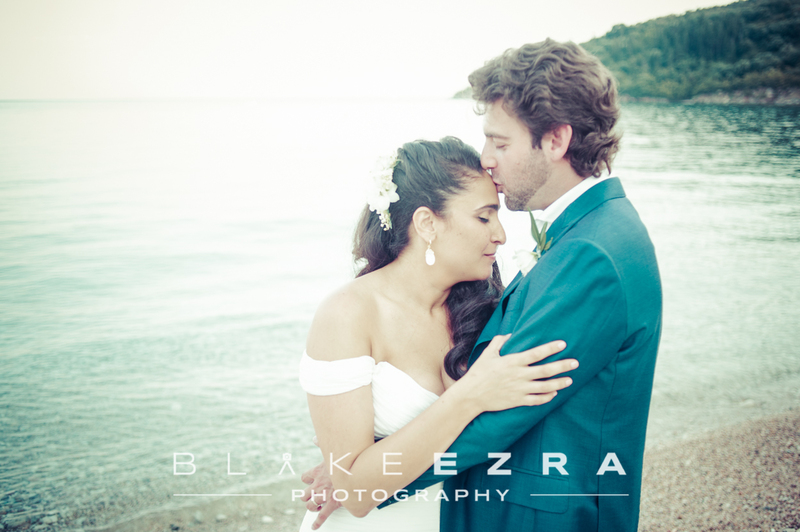 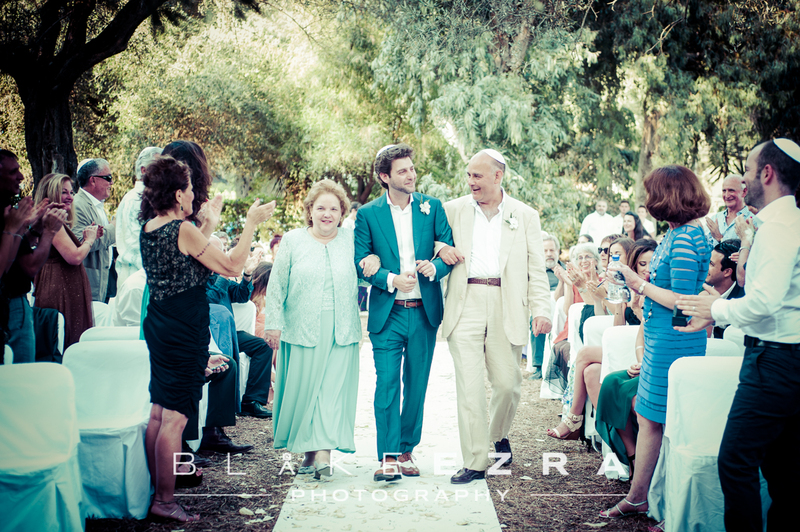 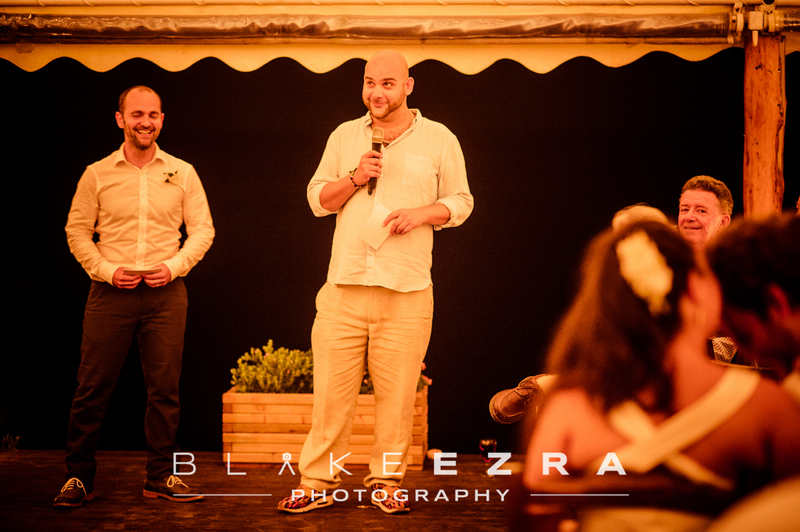 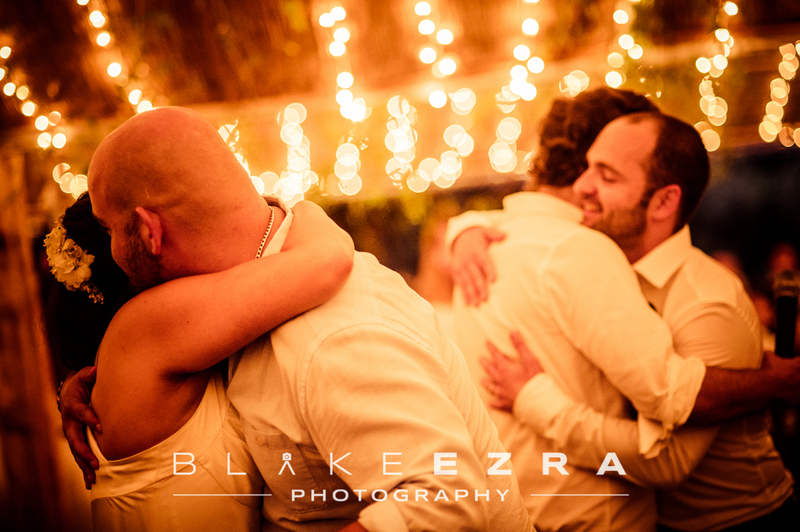 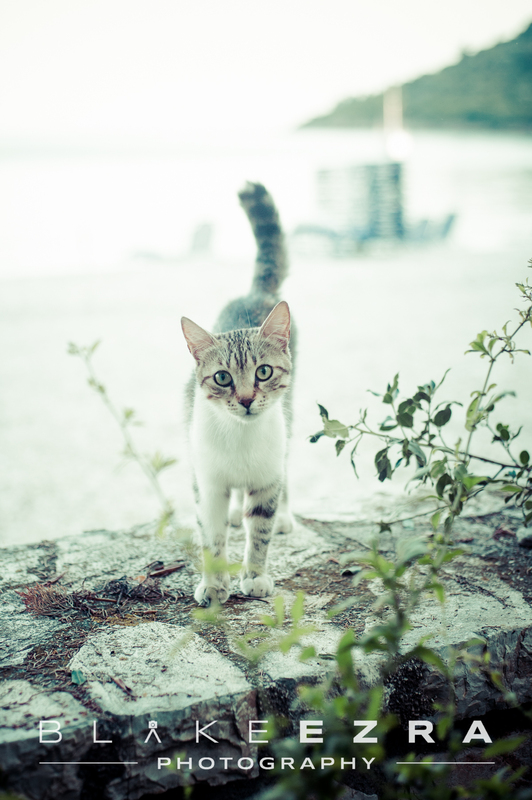 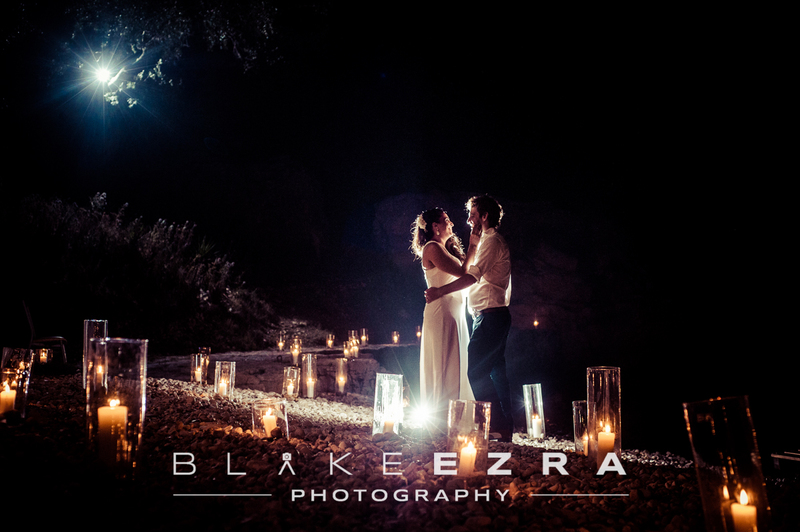 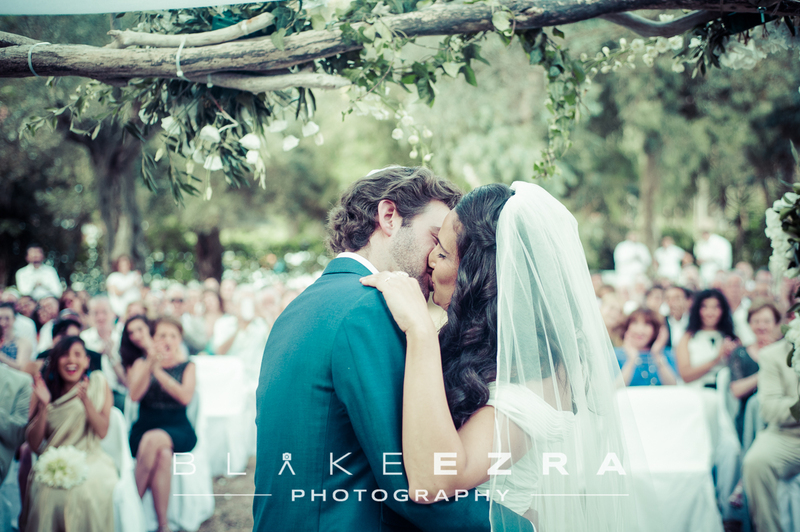 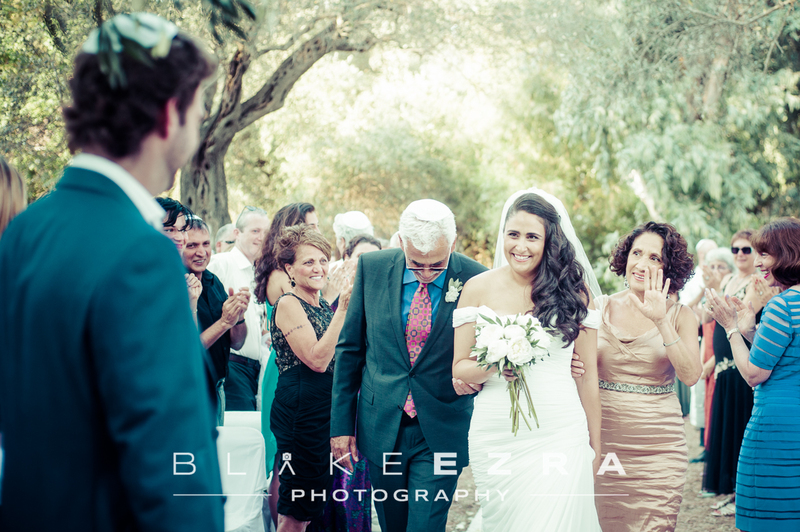 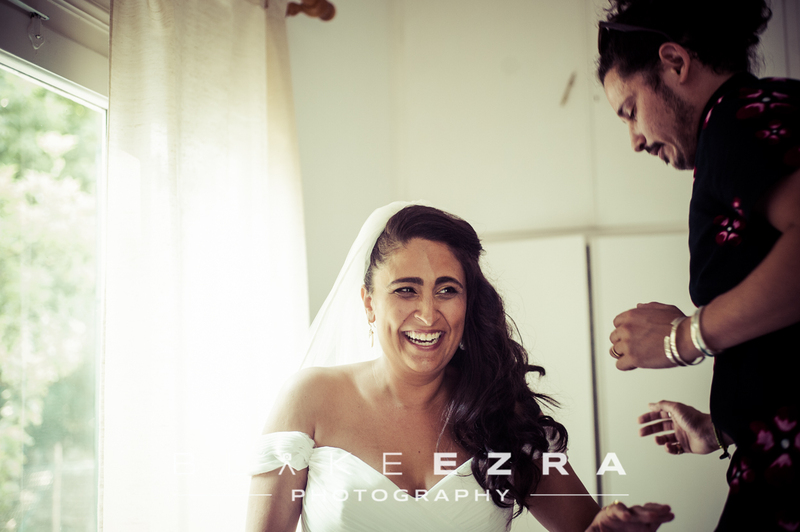 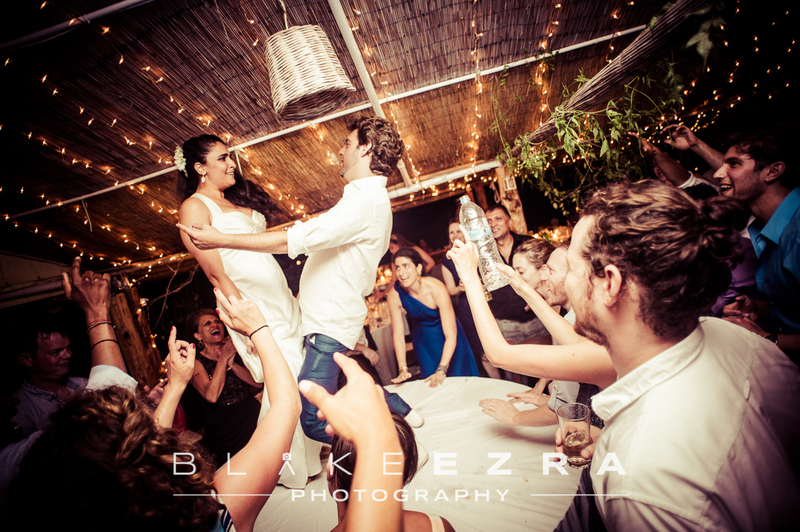 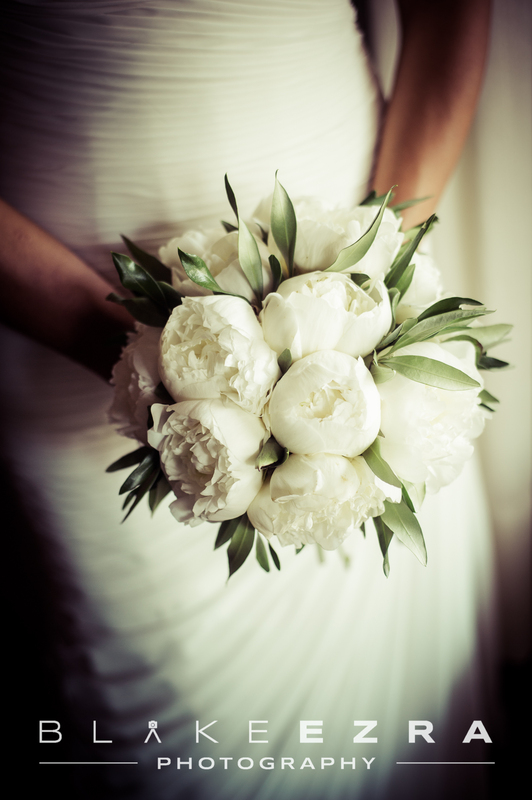 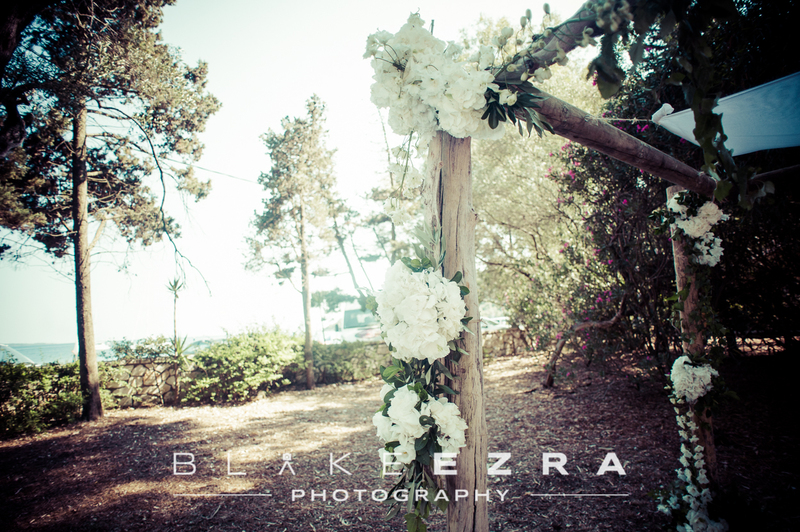 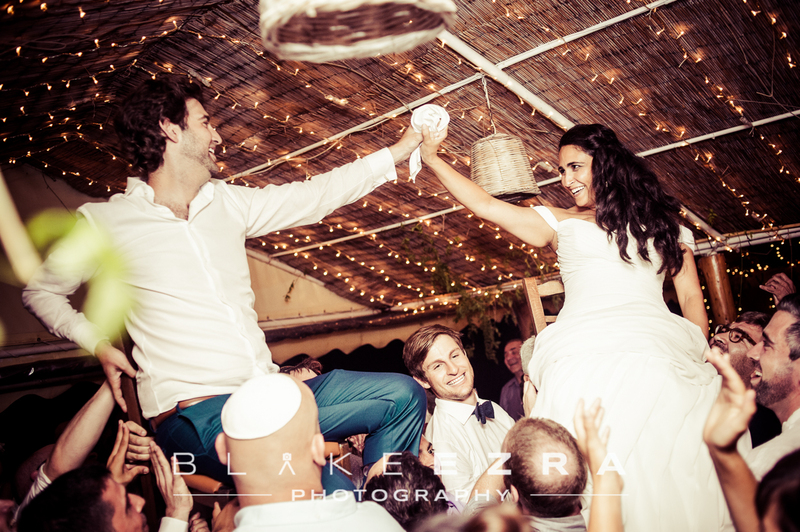 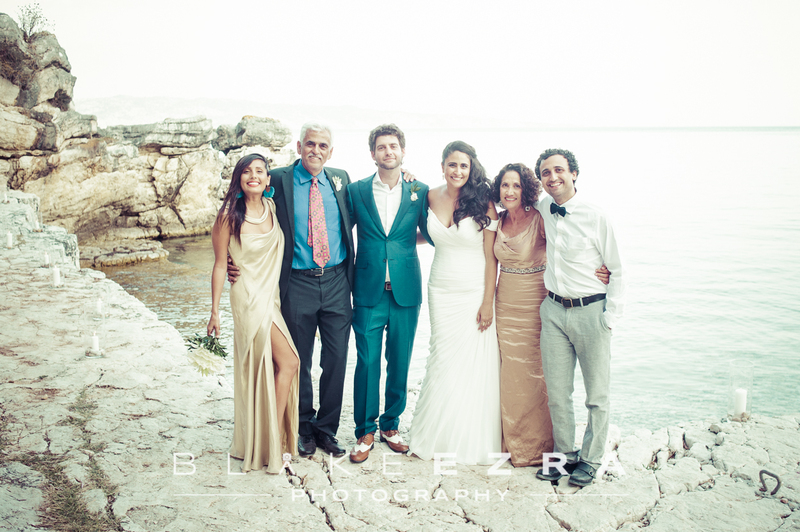 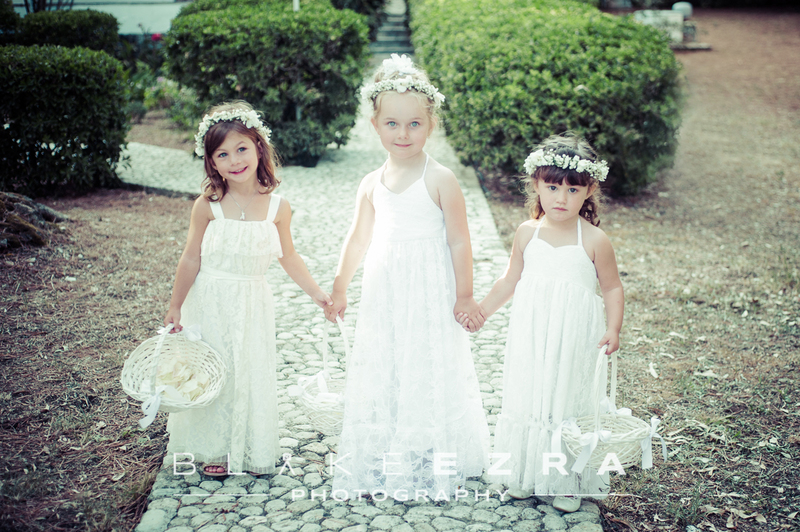 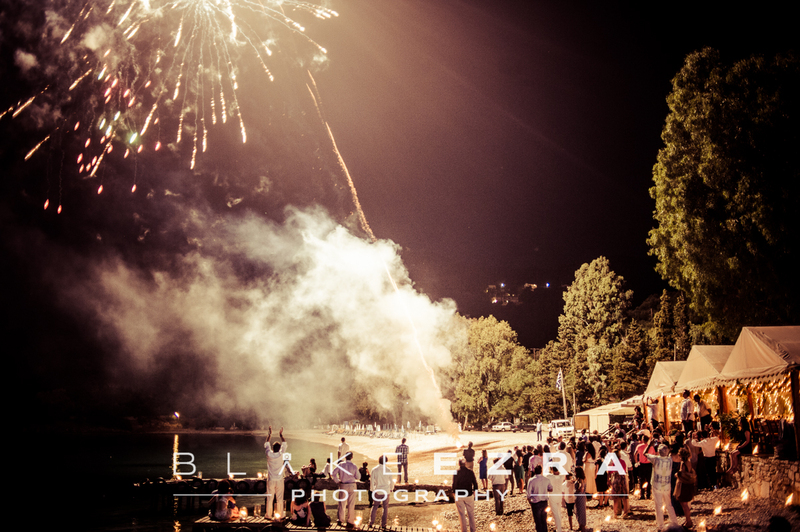 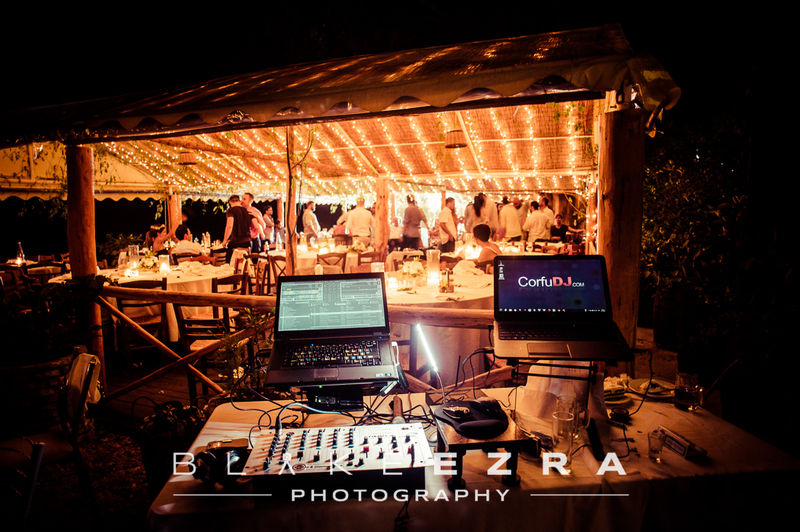 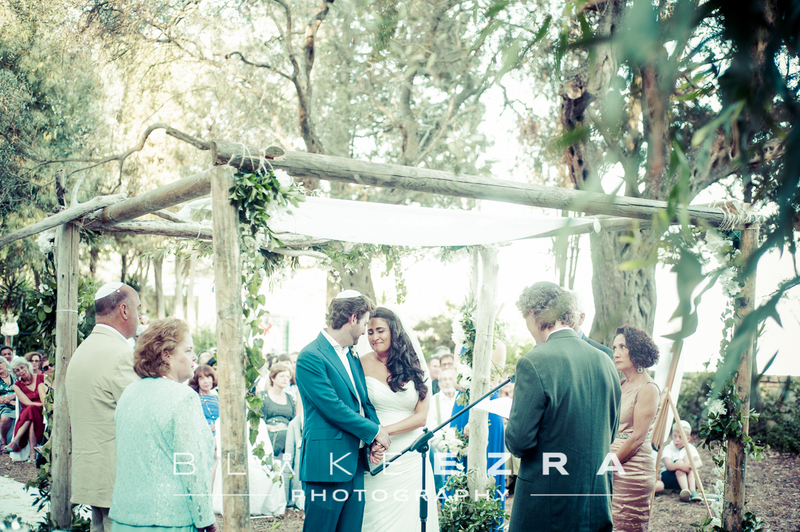 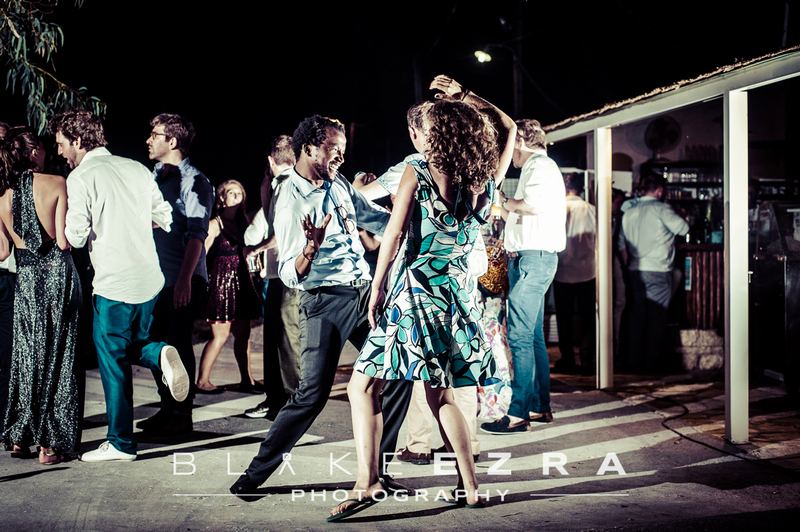 Sheera and Tom got married, then celebrated in a big way, on a secluded beach in Kerasia, Corfu. 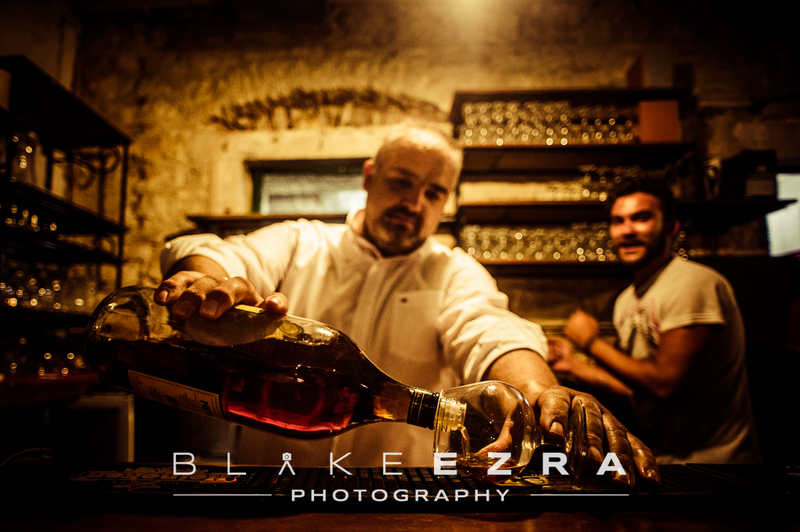 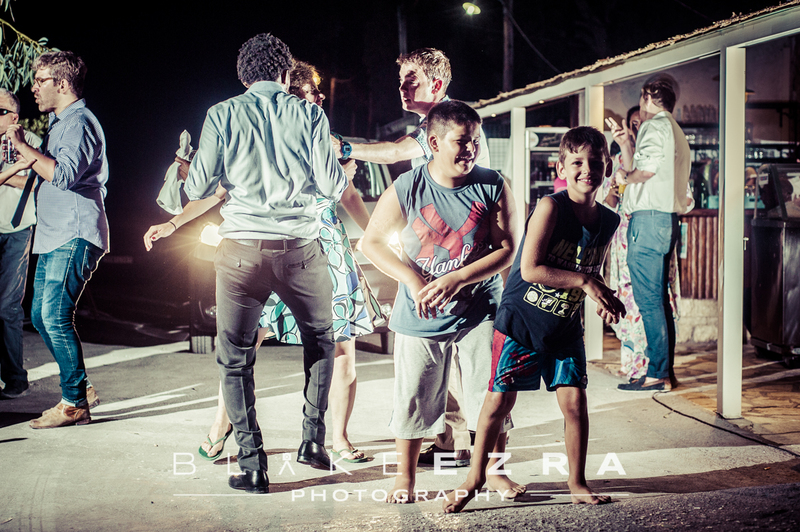 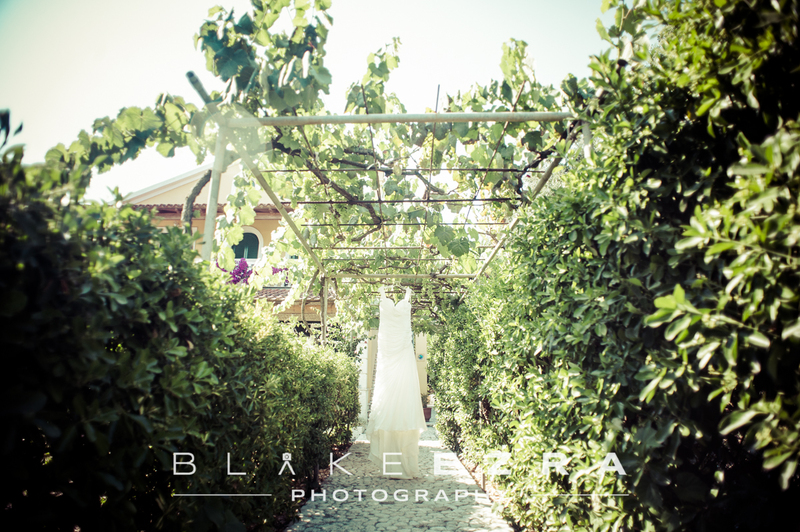 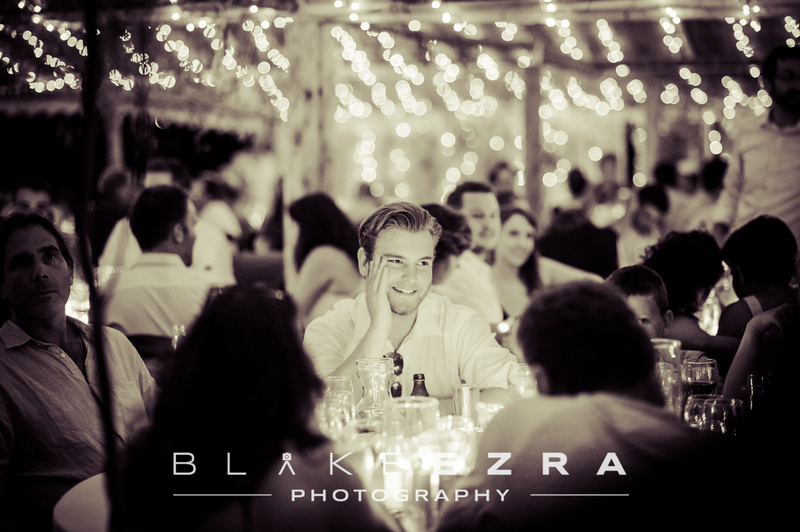 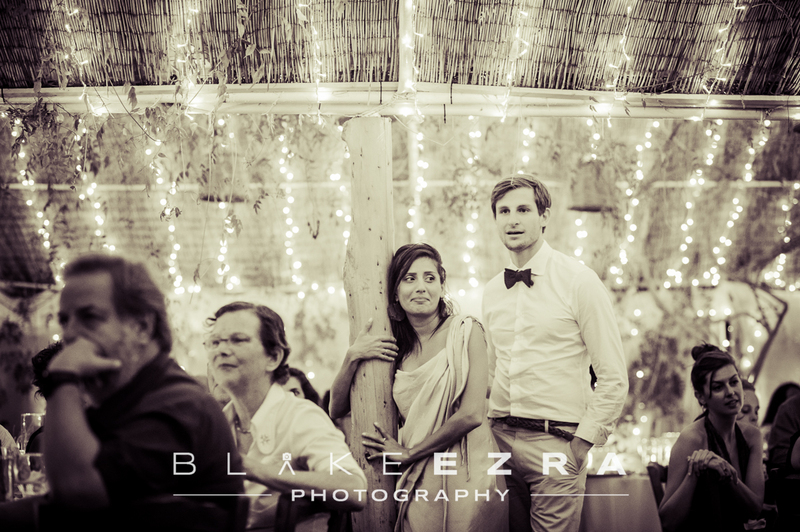 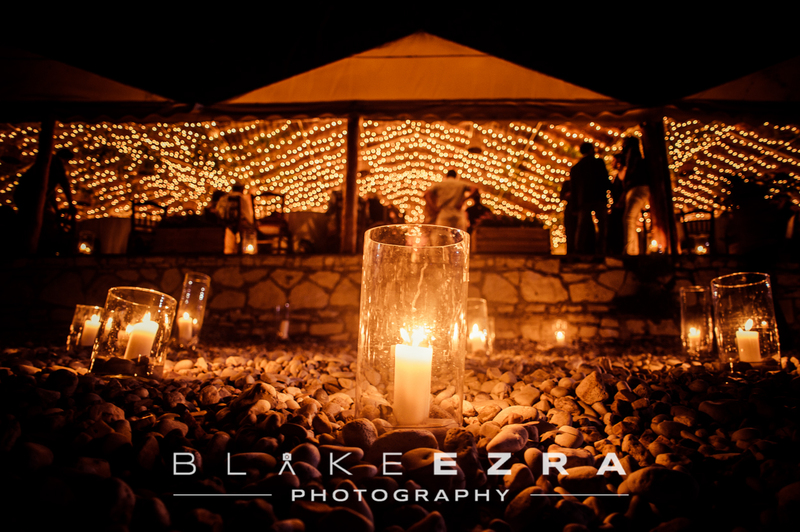 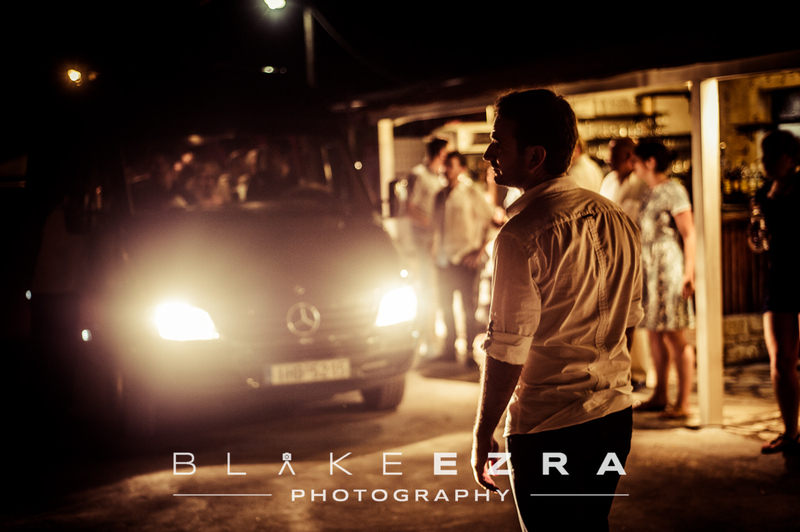 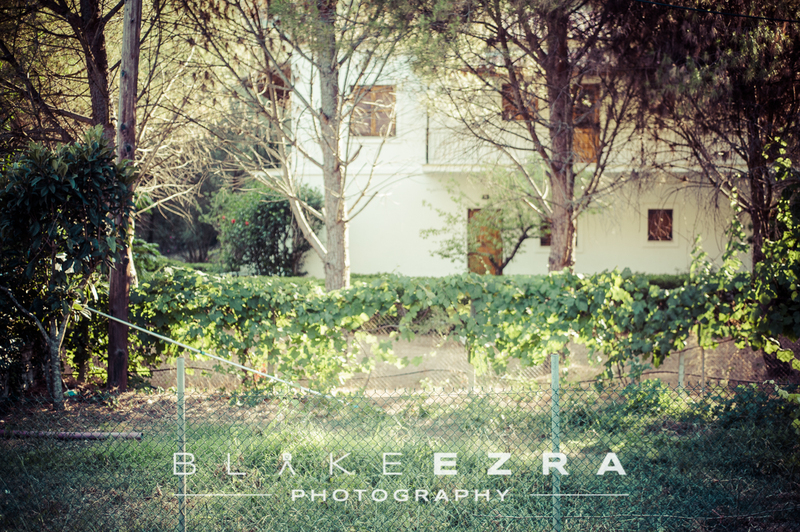 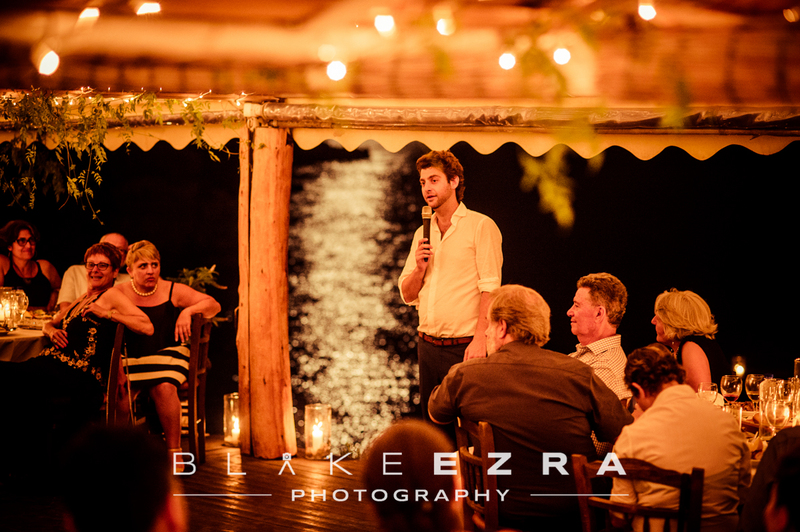 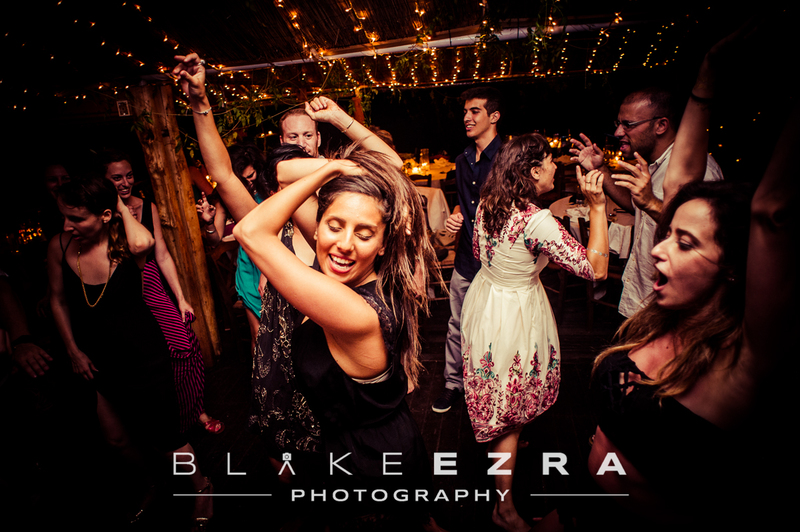 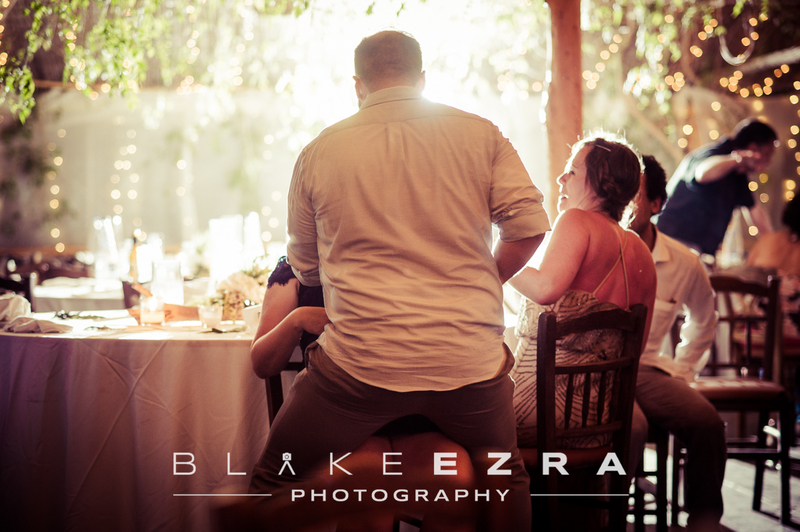 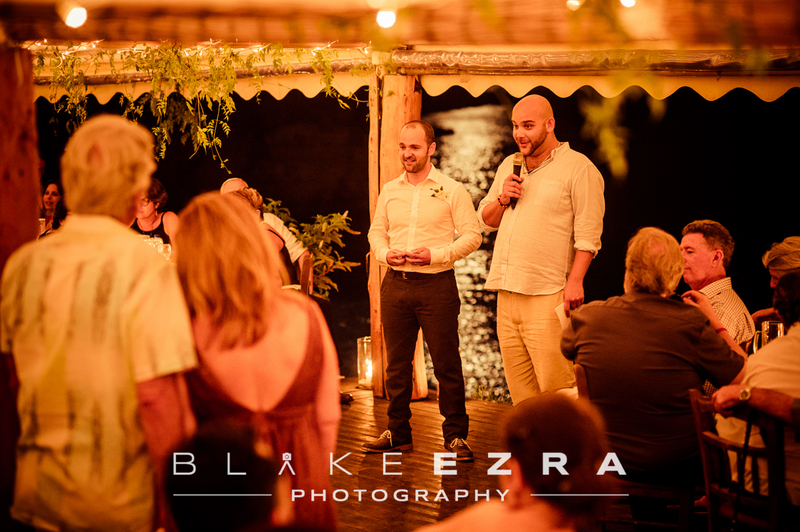 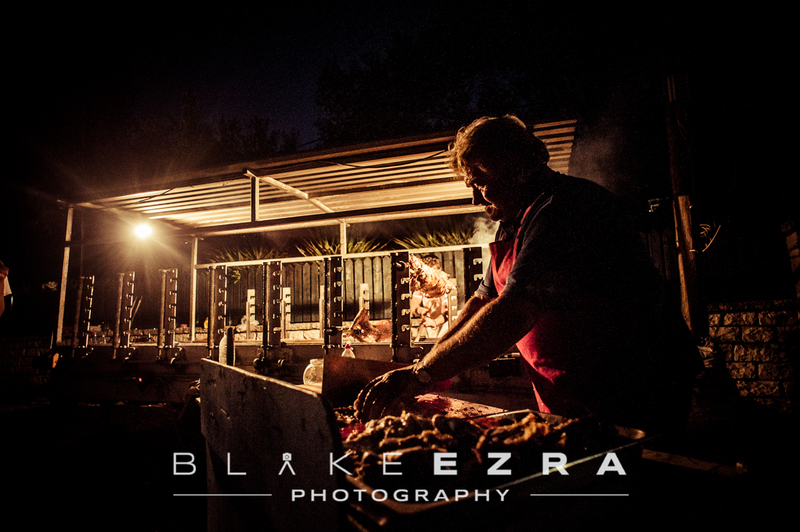 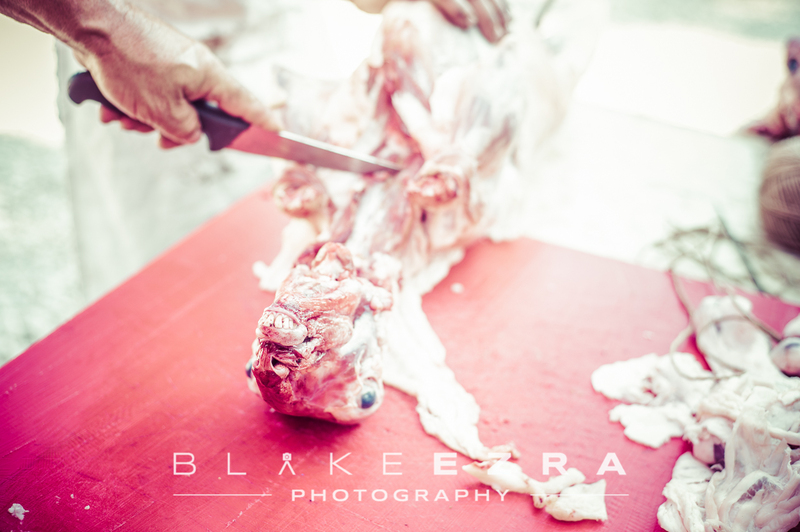 Blake was privileged to be there to photograph the wedding itself, as well as the welcome drinks the previous evening in Kasiopi. 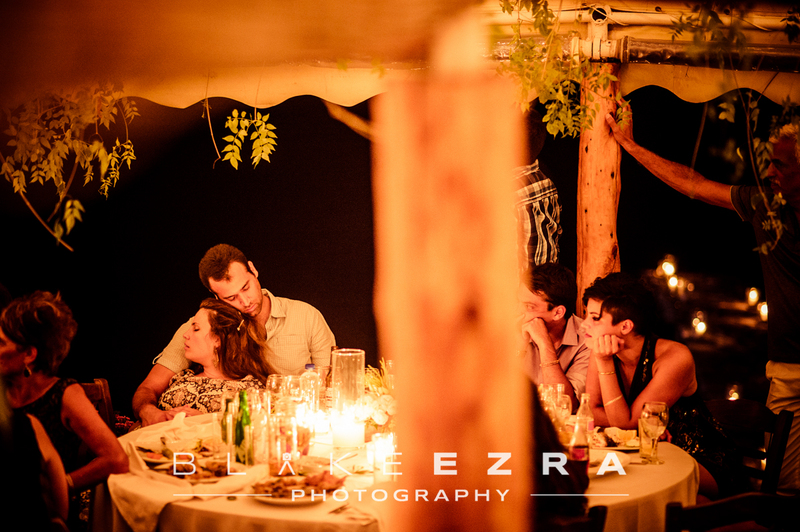 This was not only an incredible wedding of two people so clearly made for each other, but for many guests it was an amazing holiday too. 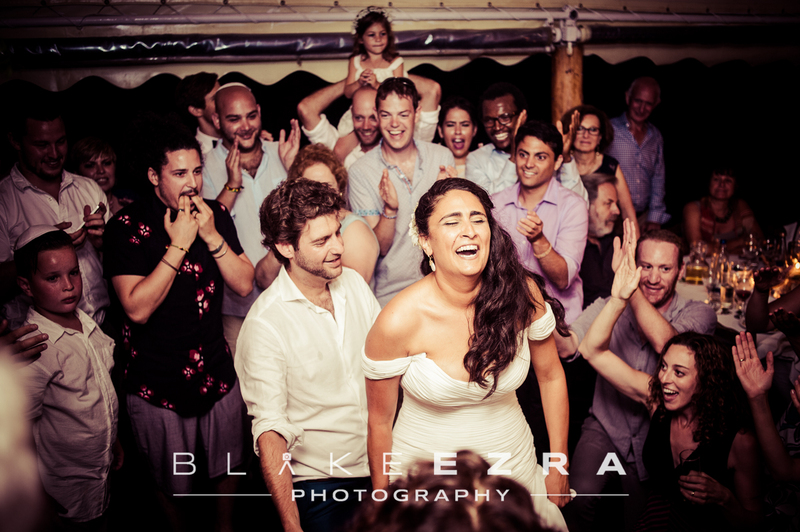 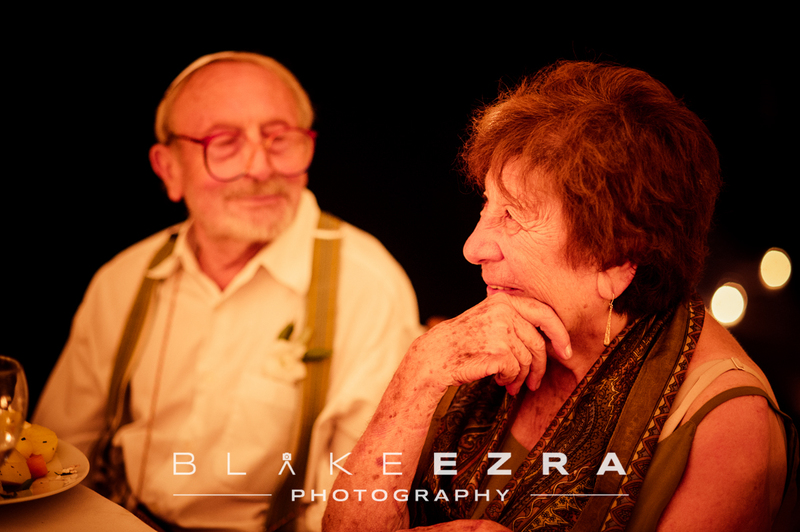 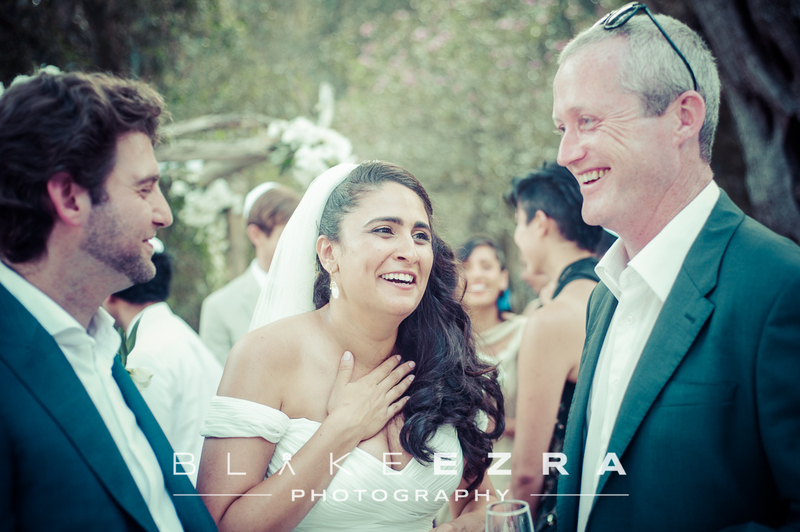 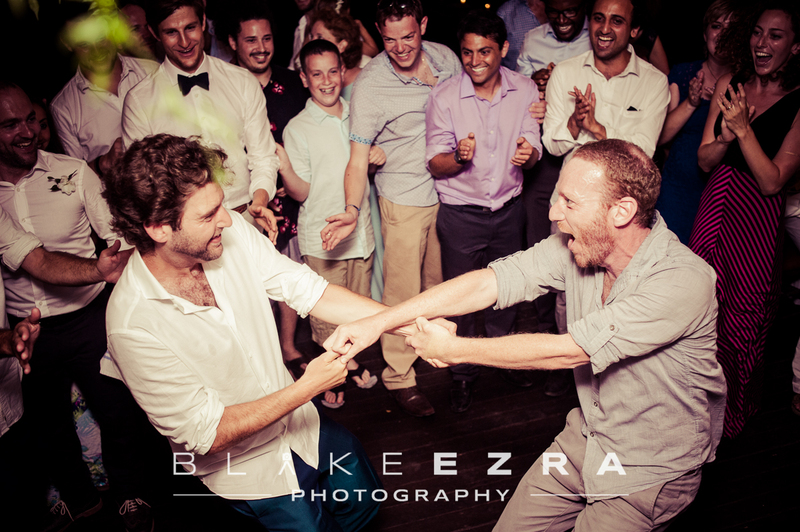 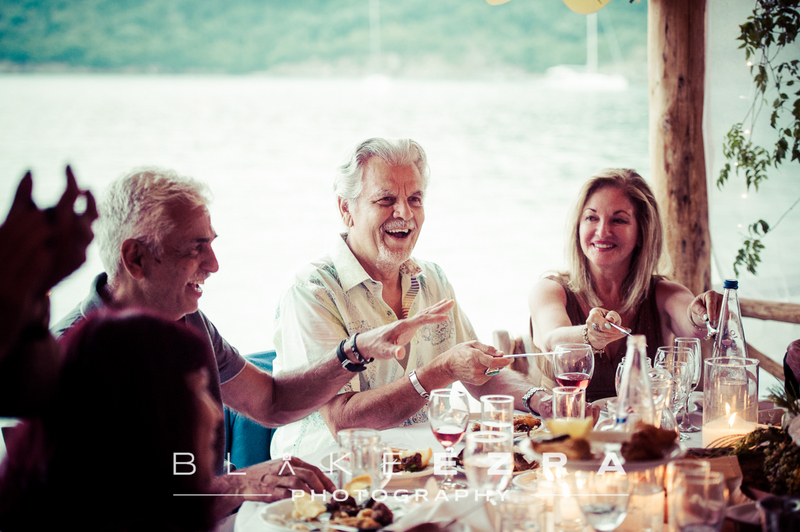 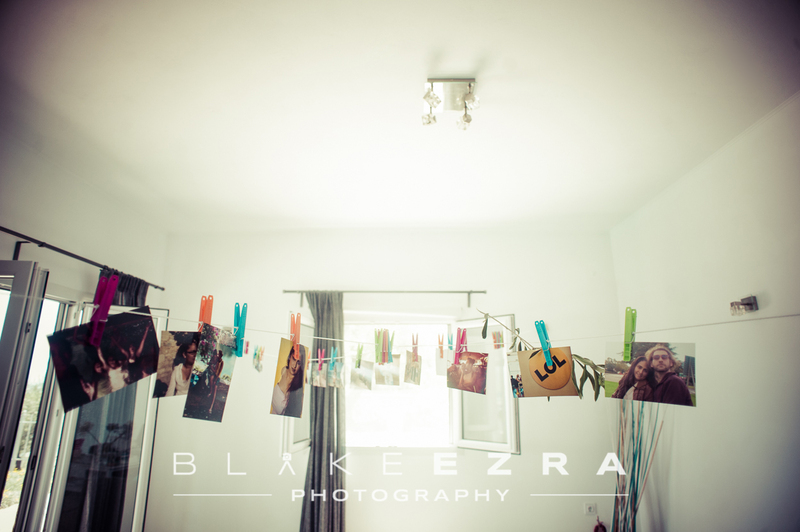 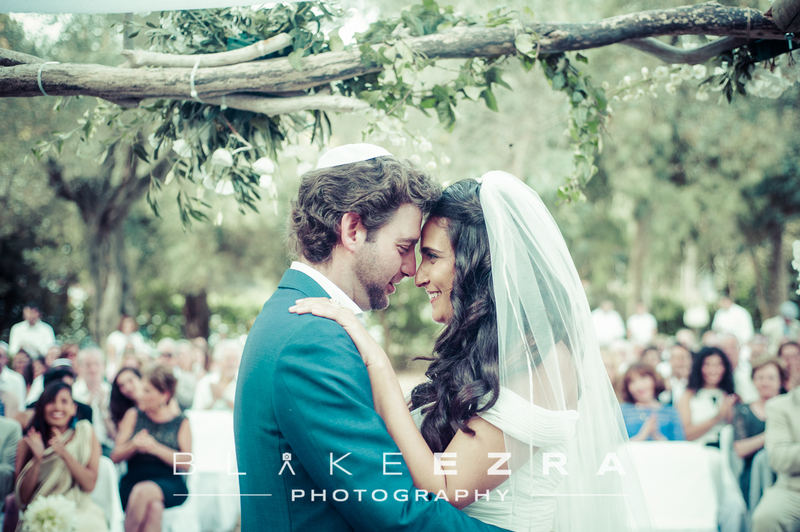 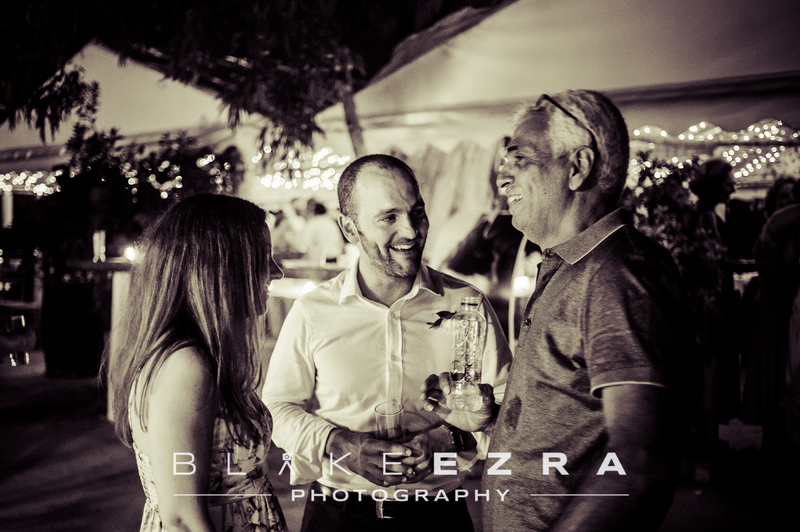 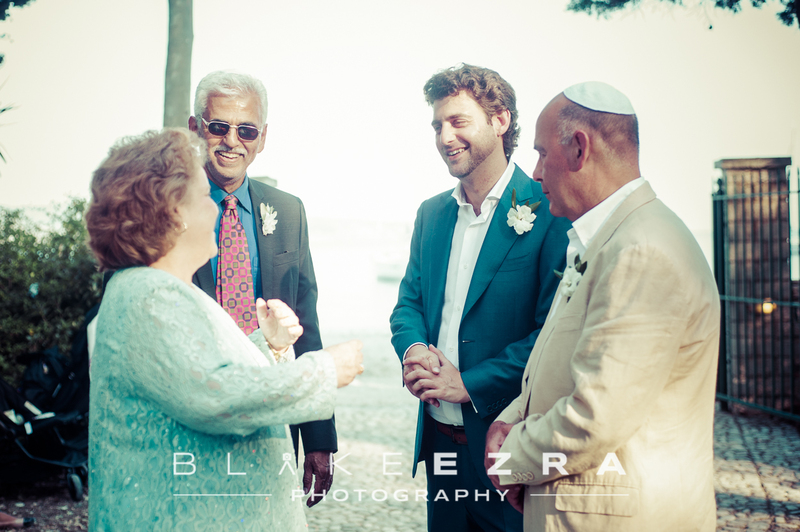 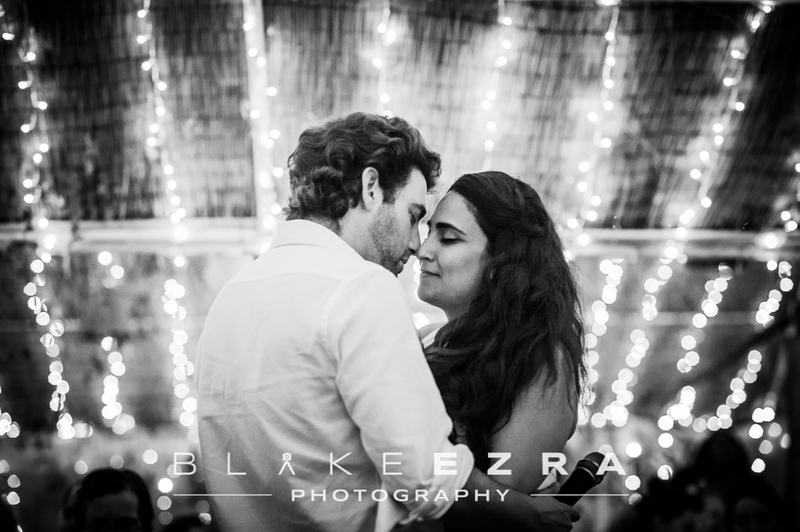 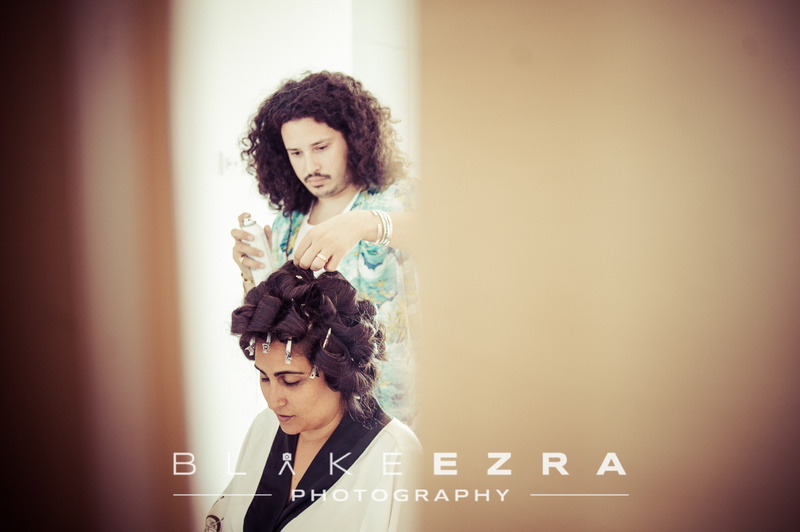 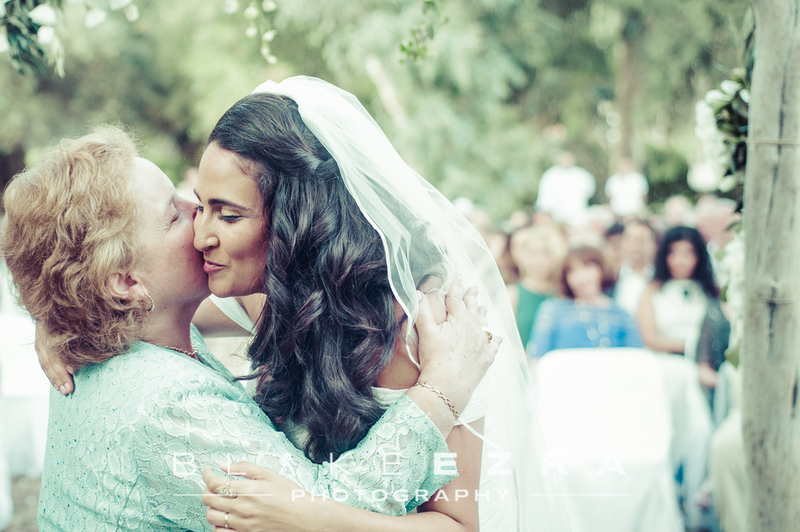 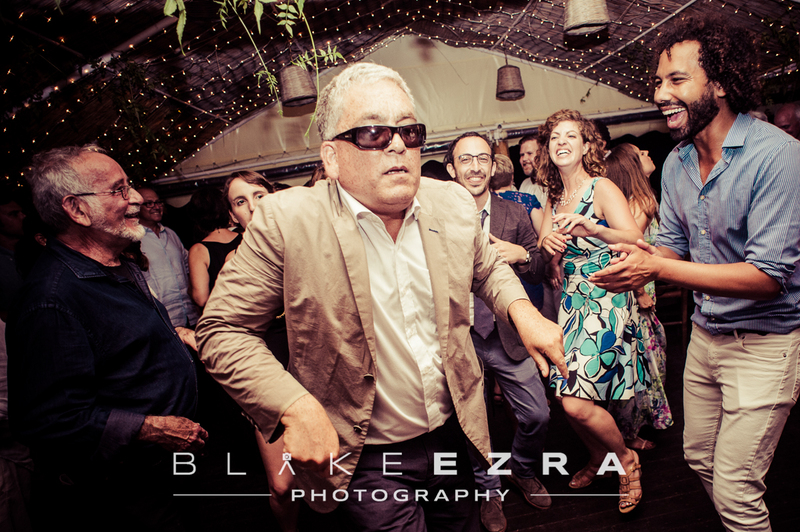 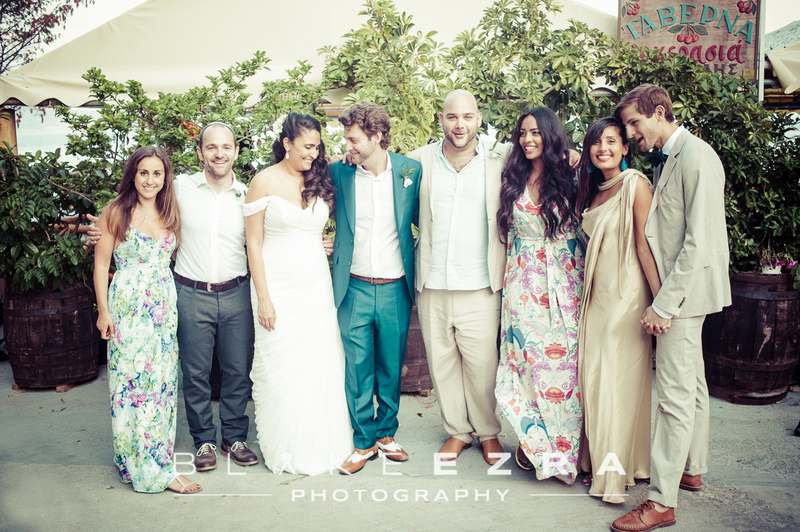 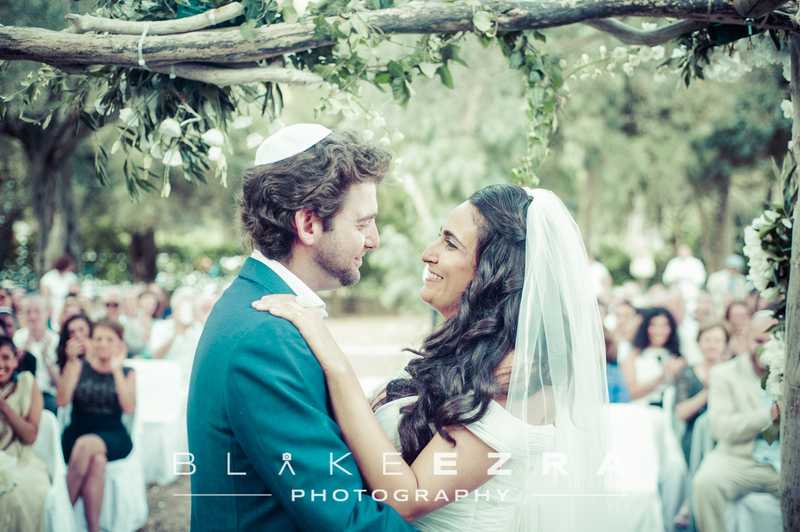 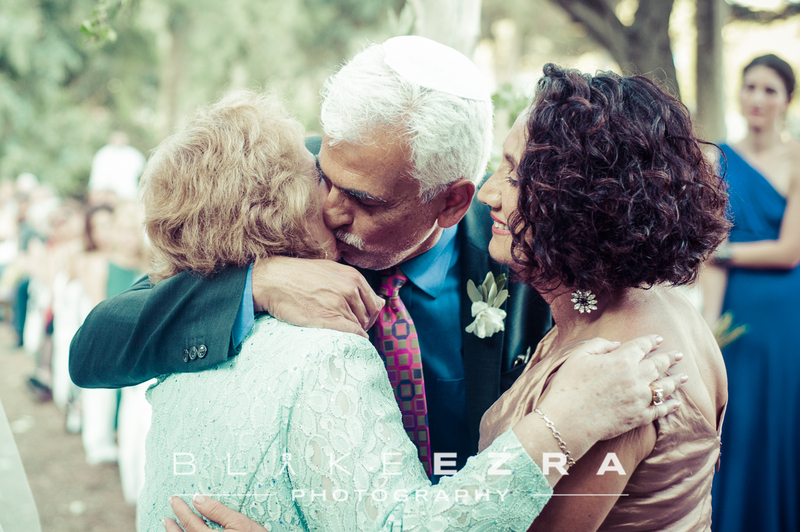 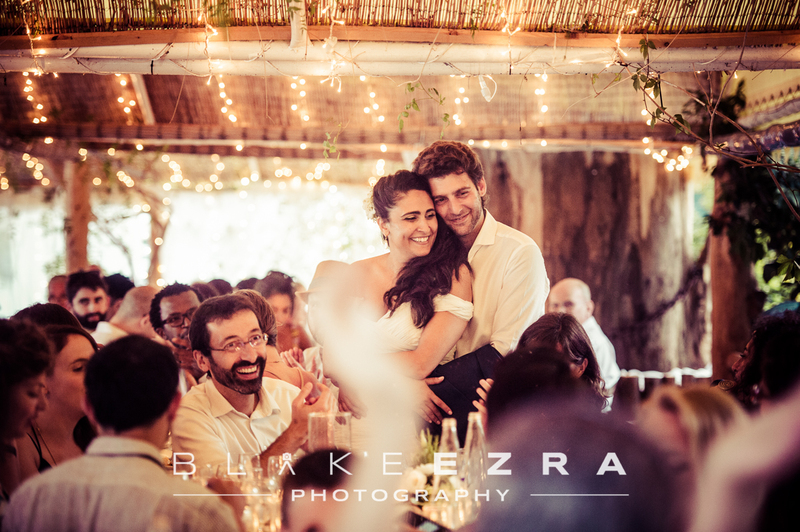 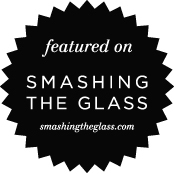 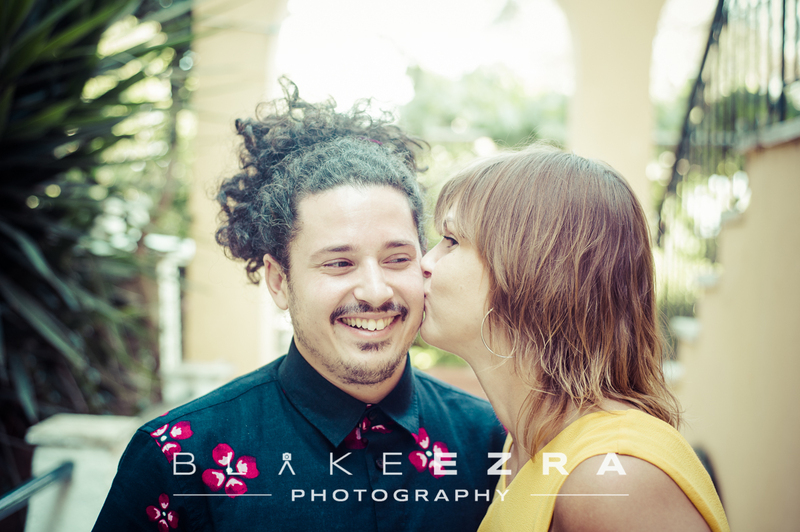 Friends and family flew in from five continents, such is the love and admiration felt for Sheera and Tom, who planned what seemed like a week-long party for everybody to get to know each other before the wedding itself. 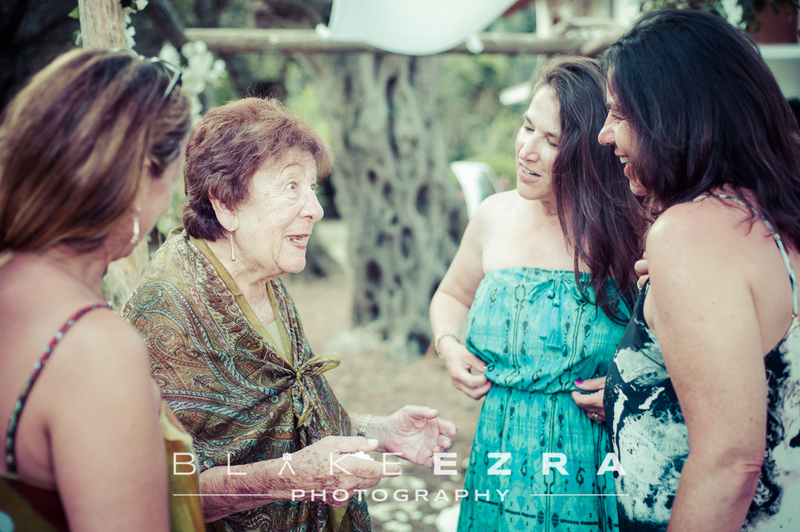 There were brave and inspired musical choices, sheep on spits, cats on canvases, and grandma Enid’s being with all her grandchildren together for the very first time… such a special moment.